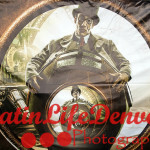 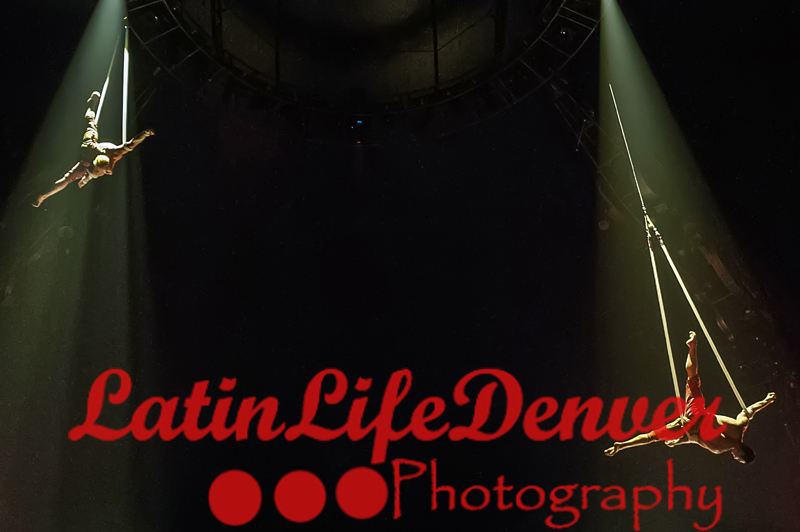 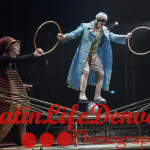 Ladies and gentlemen, boys and girls may I direct your attention to big top at the center of the Pepsi Center parking lot in downtown Denver, Colorado. 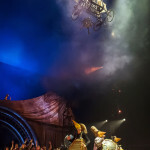 The Circus is in town but it’s not just any circus it’s the Cique Du Soleil (Circus of the Sun) production of “Kurios, Cabinet of Curiosities” a show that will daze and amaze you challenging you to trust your imagination and creativity as you are taken on a ride that can best be described as a cross between TV’s Twilight Zone and The Outer Limits. 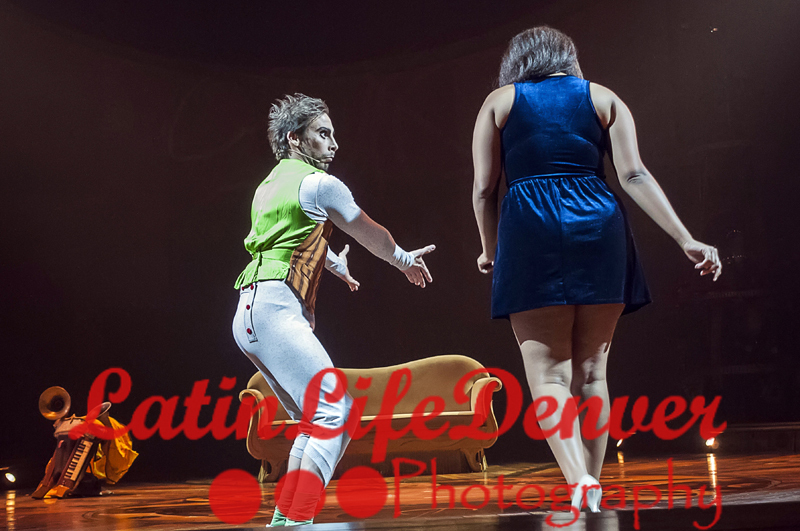 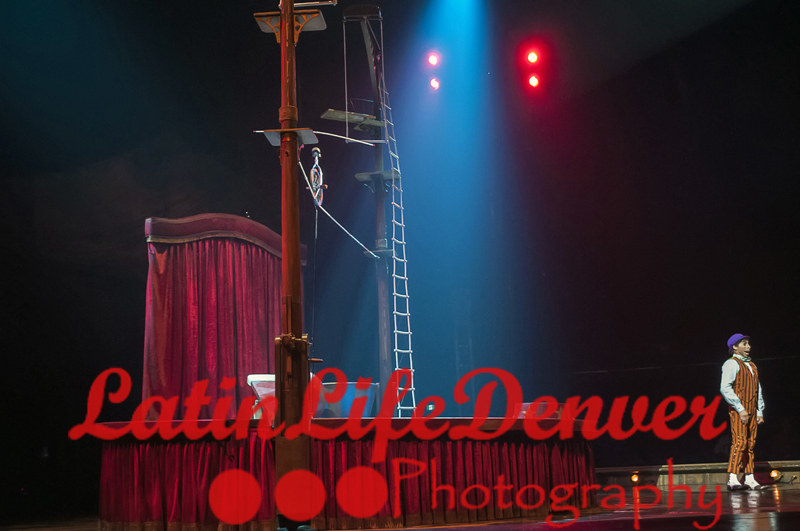 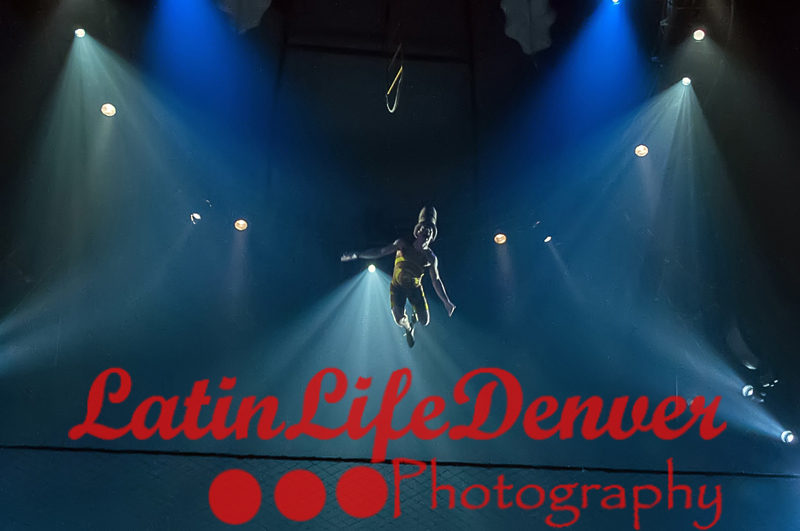 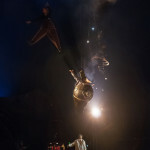 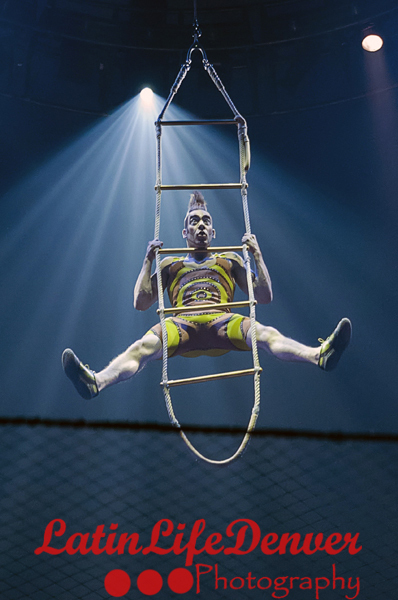 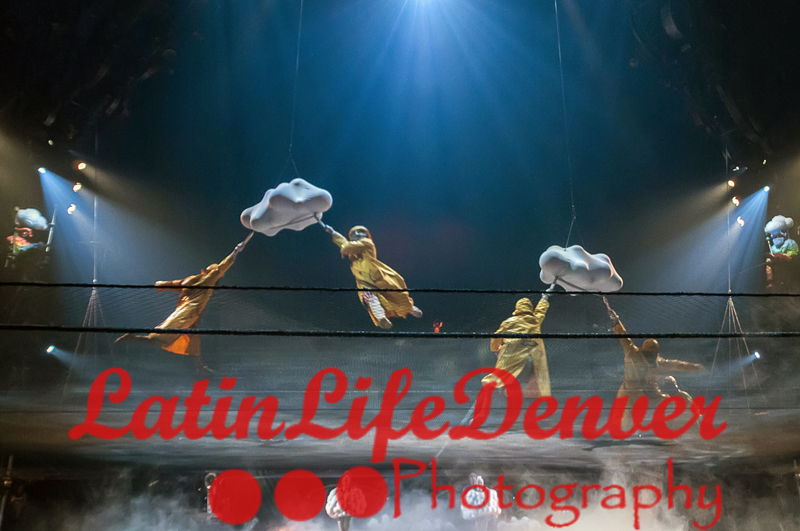 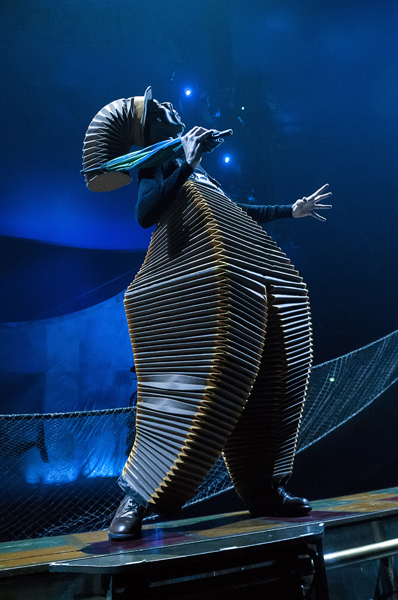 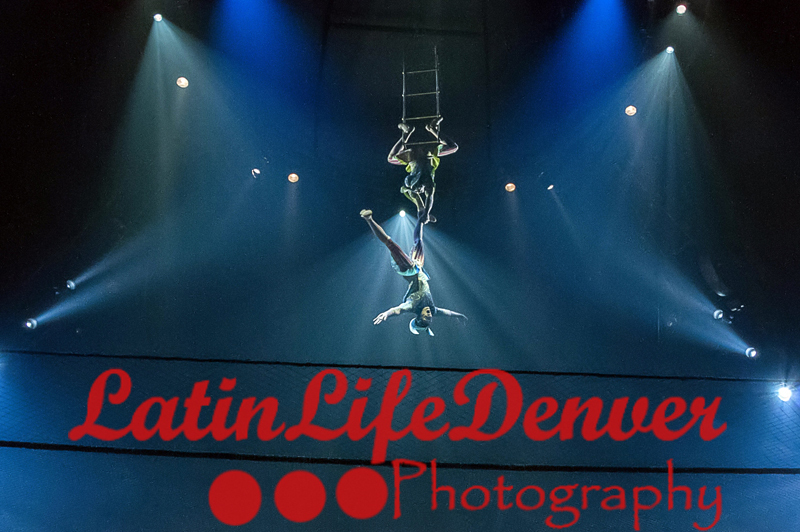 The introduction to this circus show could have easily read, “You’re traveling through another dimension — a dimension not only of sight and sound but of mind. 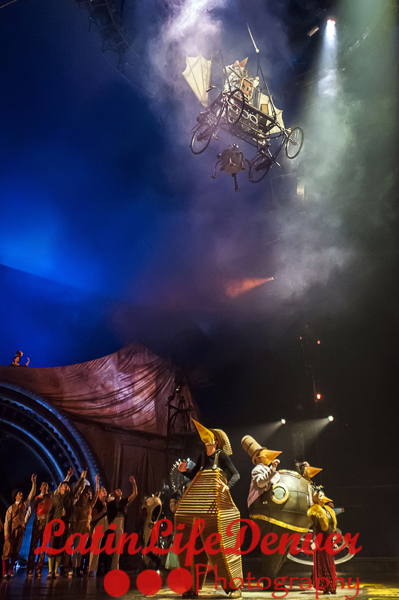 A journey into a wondrous land whose boundaries are that of imagination. 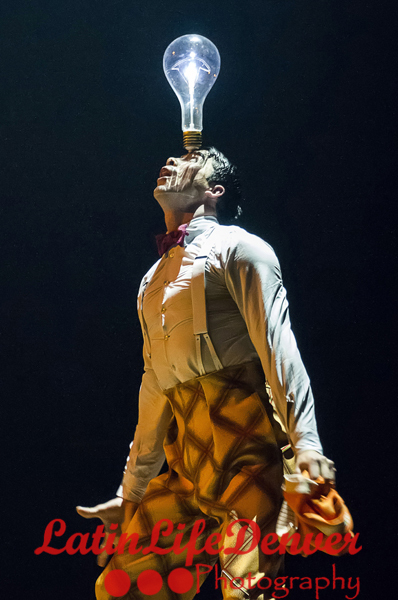 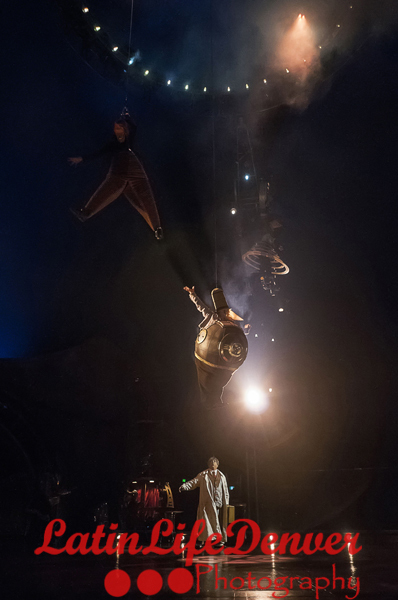 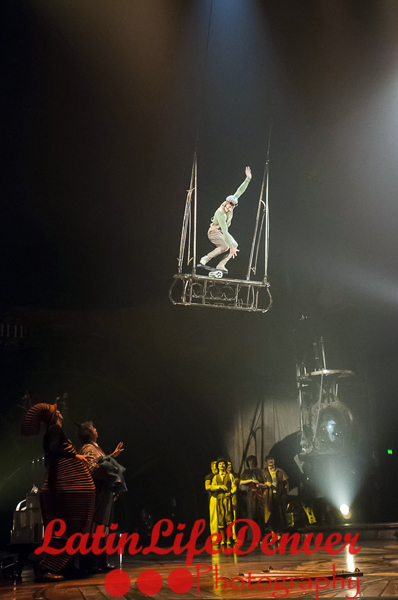 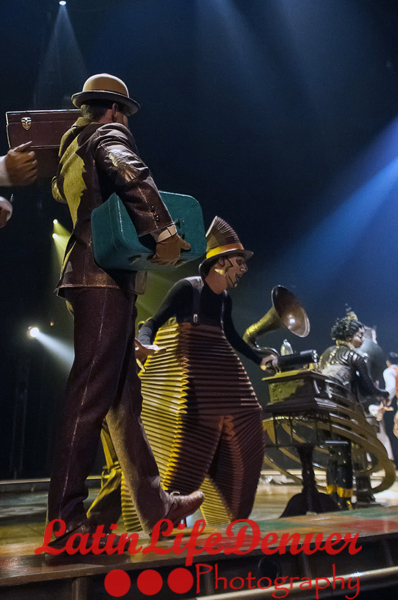 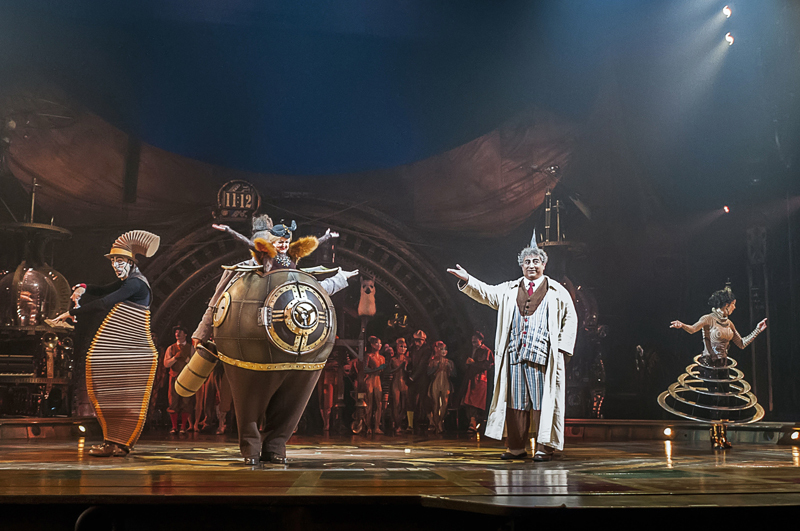 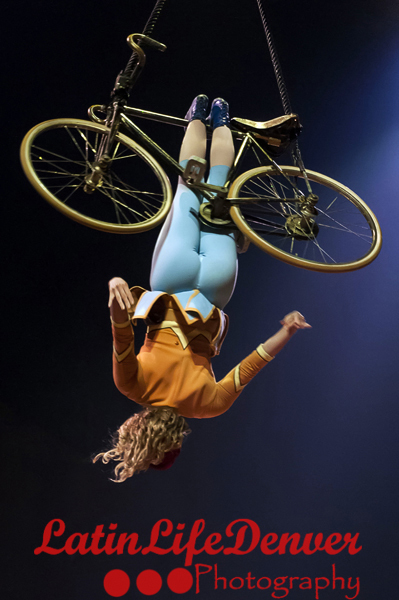 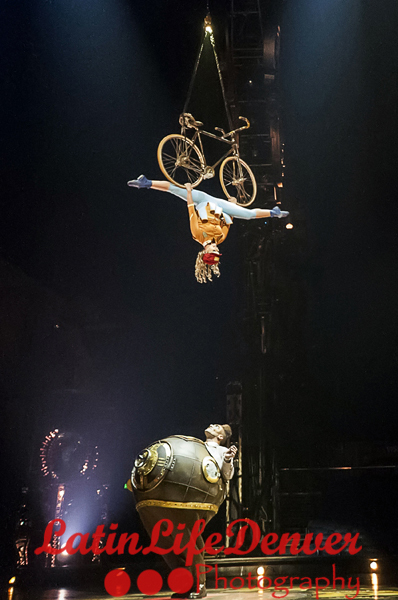 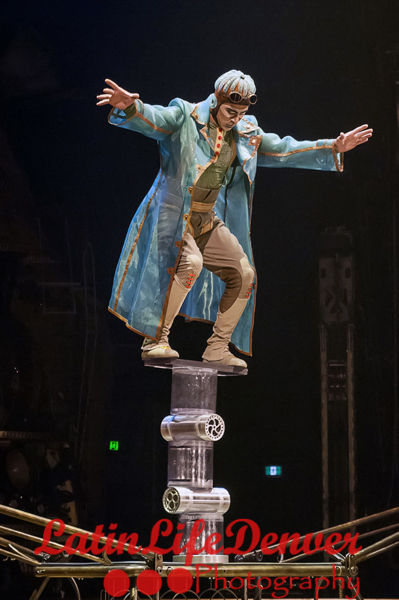 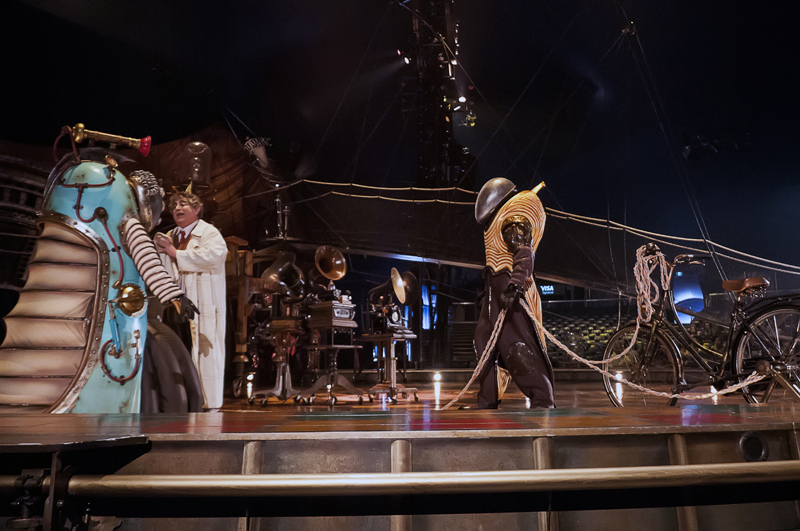 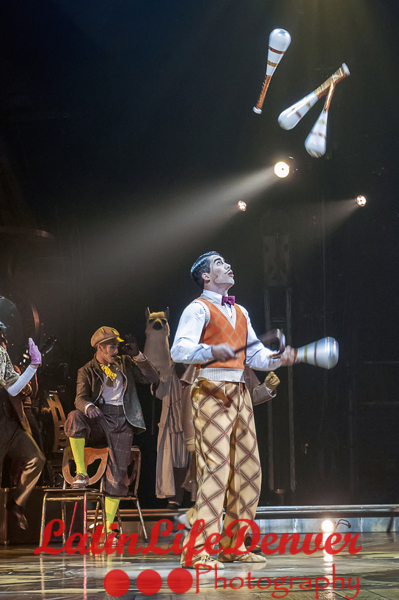 That’s a signpost up ahead: your next stop: “Kurios, Cabinet of Curiosities” And that is what this circus show is all about, an alternative reality, or is it a fantasy? 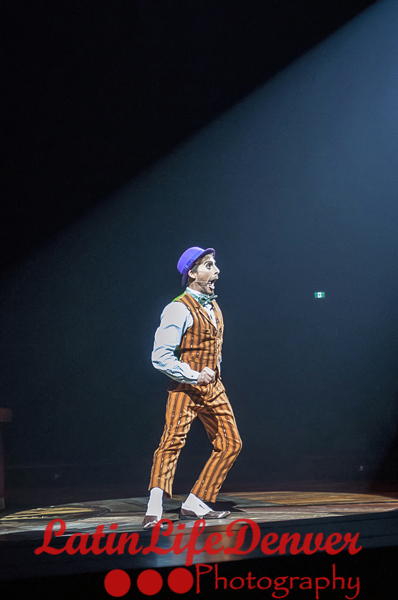 Or is it both? 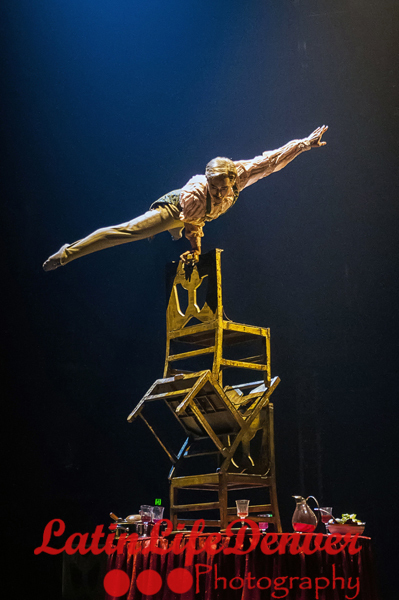 You will find yourself questioning, Is that for real and how do they make that happen? 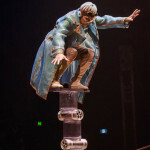 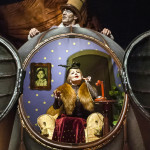 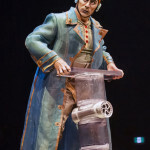 This circus show is about a “Seeker” who is the “Master of the House” and his two curio cabinets filled with unusual objects collected over the years. 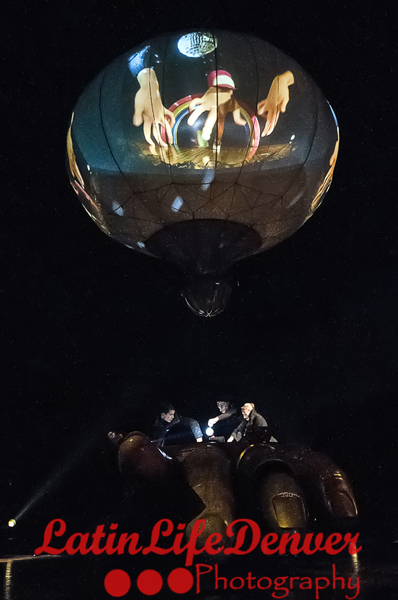 The “Seeker” believes that there exists a hidden world, an invisible world where the craziest ideas and grandest dreams await those who dare to close their eyes to see what lies just beneath the surface. 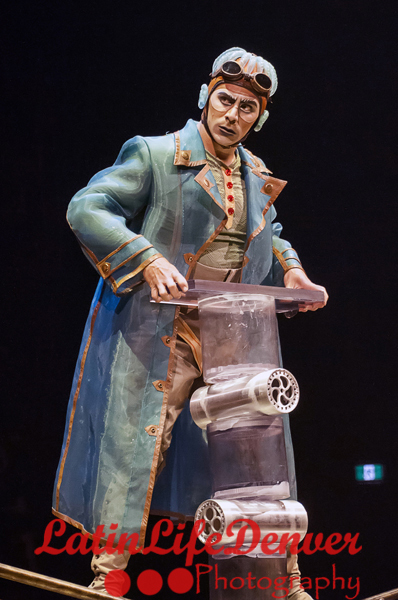 What results is a collection of otherworldly characters that emerge and step into his mechanical makeshift world and jump to life just before his very eyes. 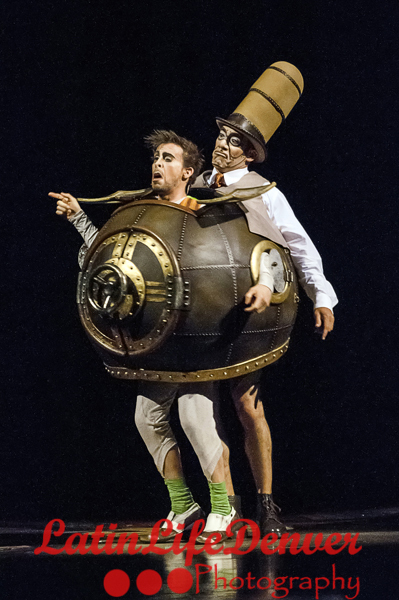 There are the Curiosistanians, inhabitants of the imaginary country Curiosistan who ignite the Seekers imagination. 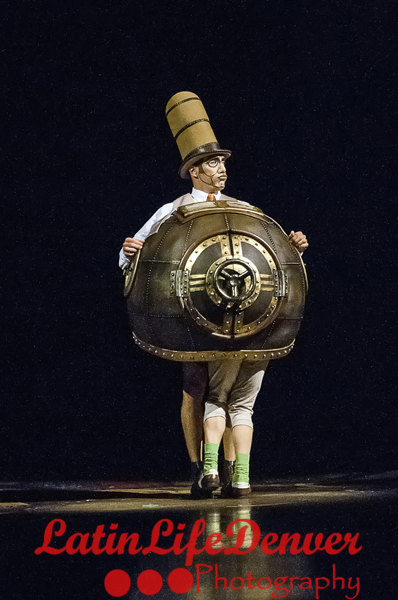 There’s Mr. Micorcosmos the leader of the group who is the embodiment of technical progress and evokes the wonders of the steam train, and the Eiffel Tower. 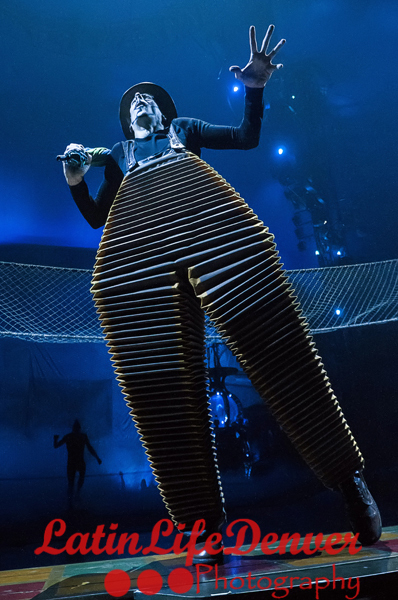 Nico, the Accordion Man can bend up or down so that he can be at eye level with whoever is around him. 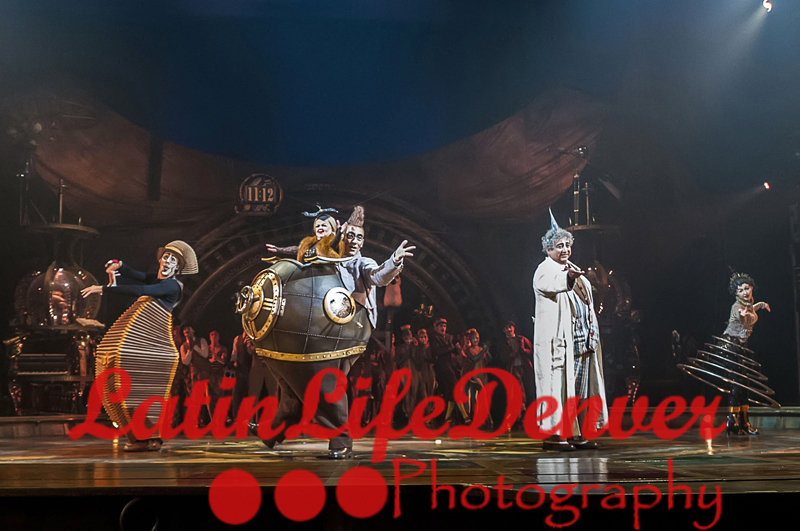 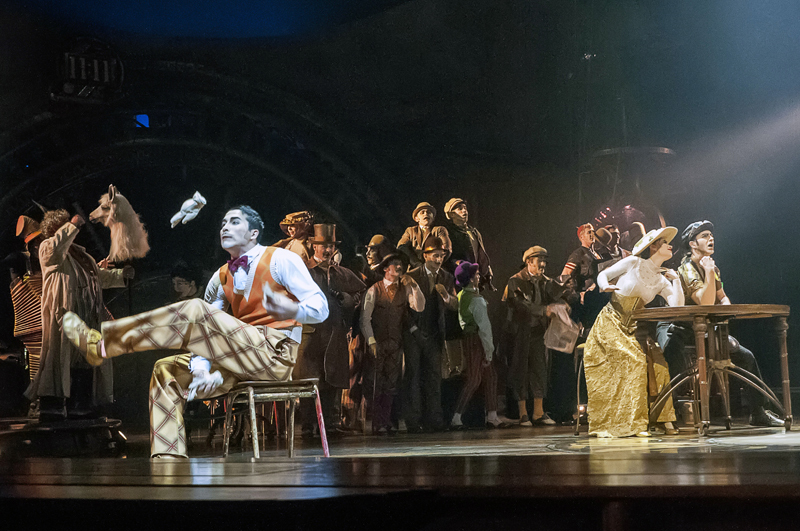 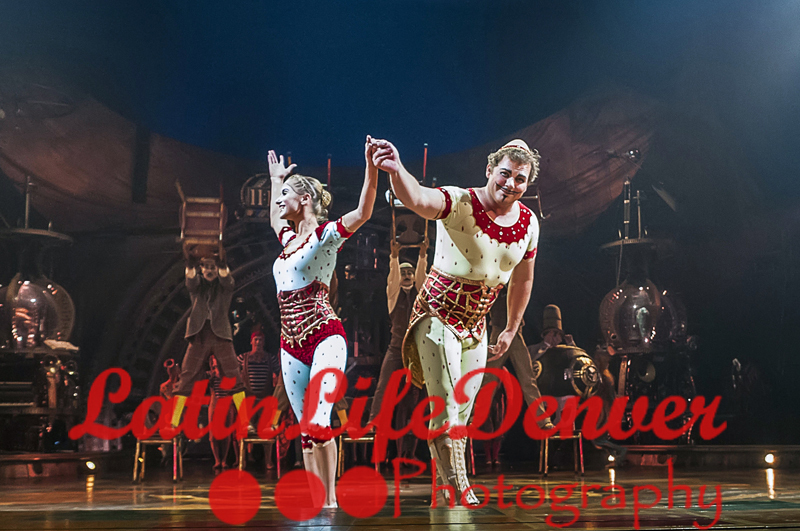 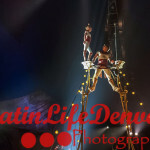 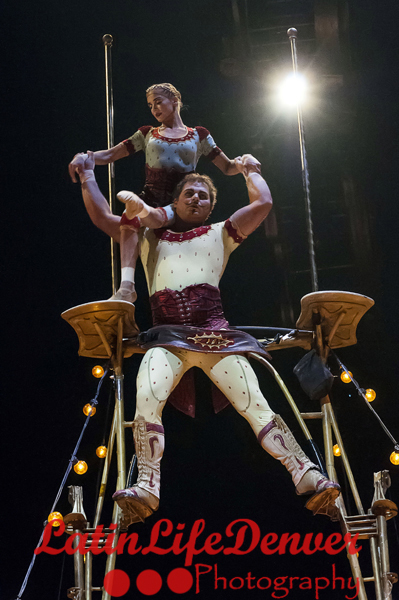 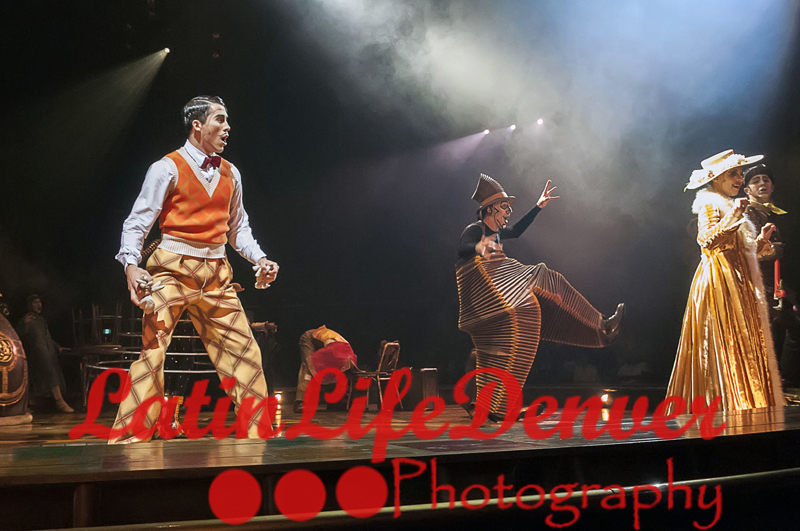 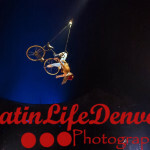 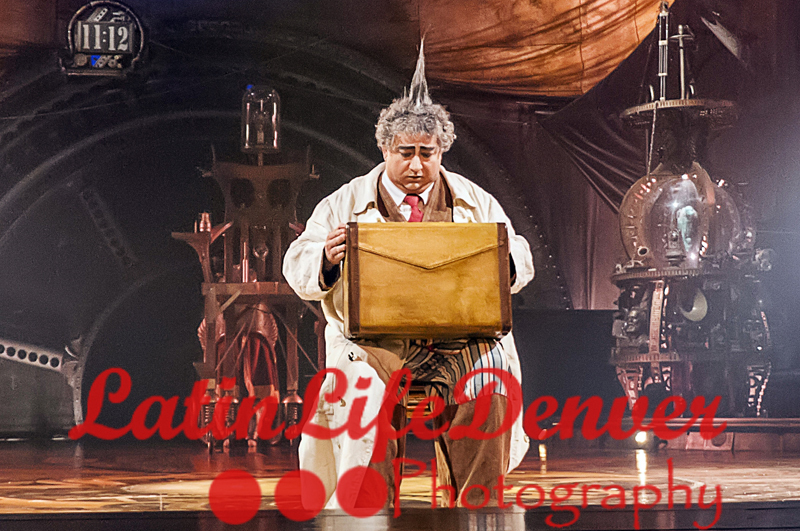 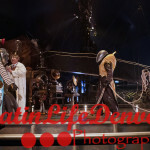 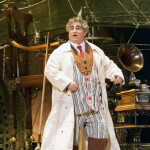 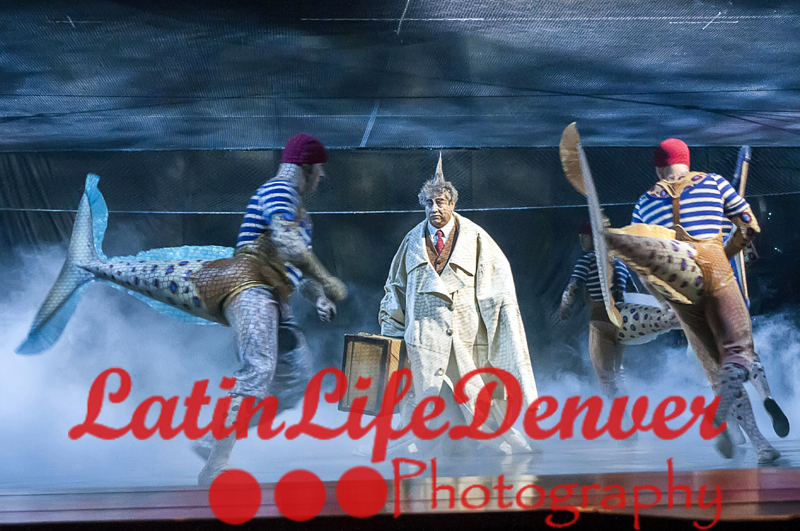 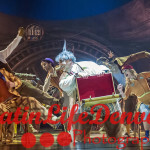 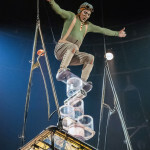 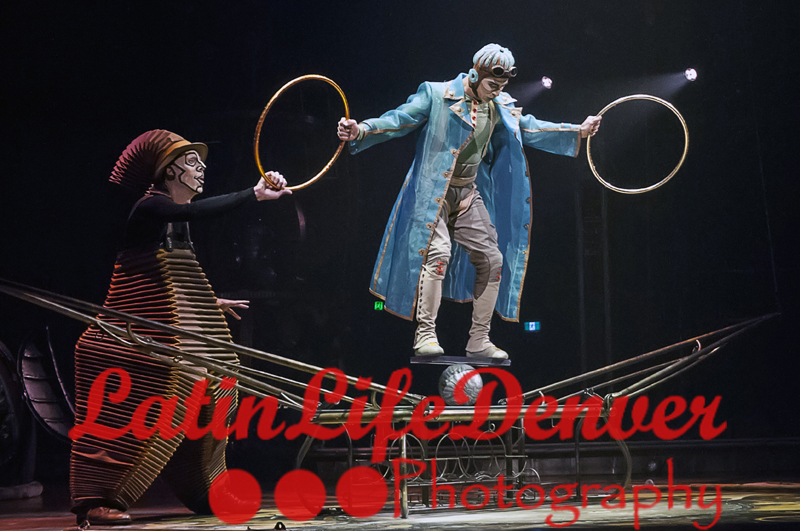 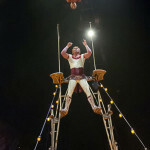 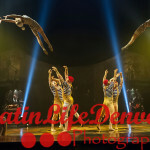 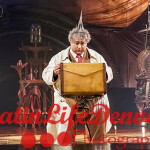 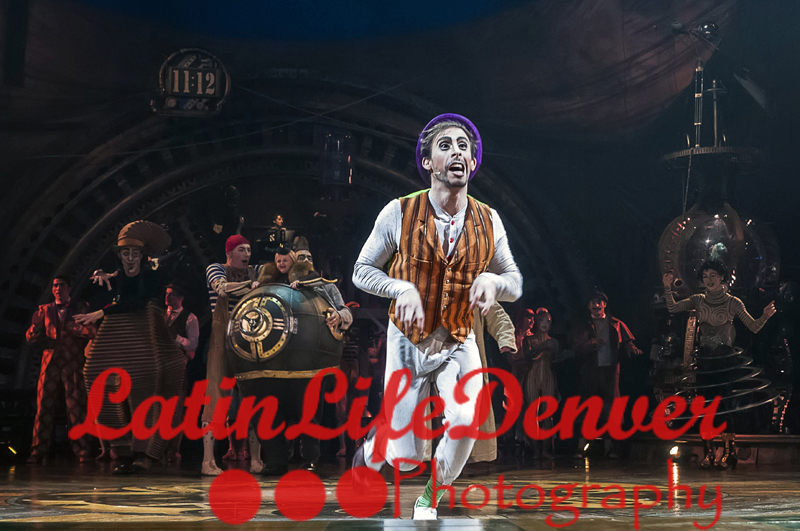 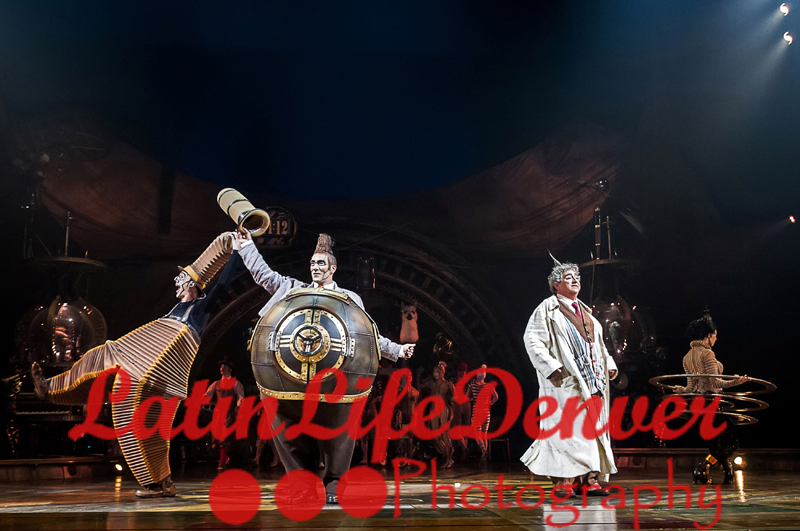 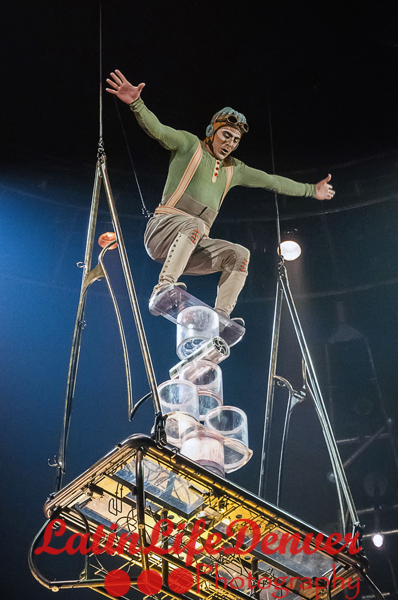 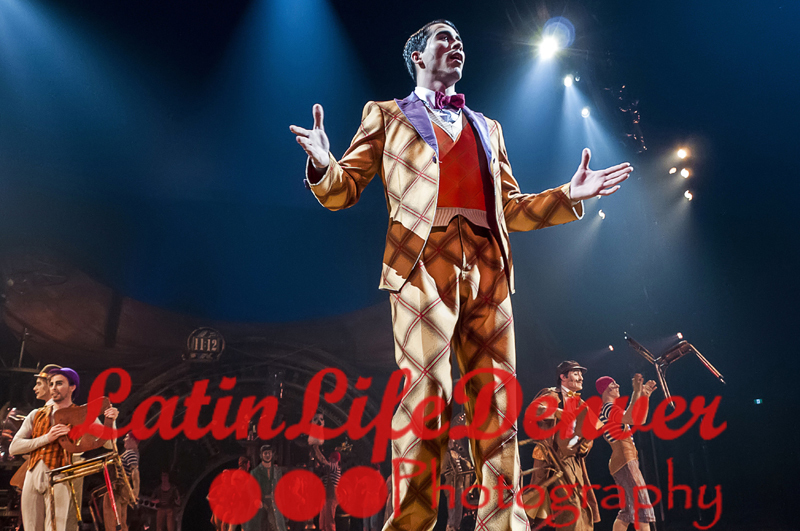 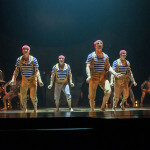 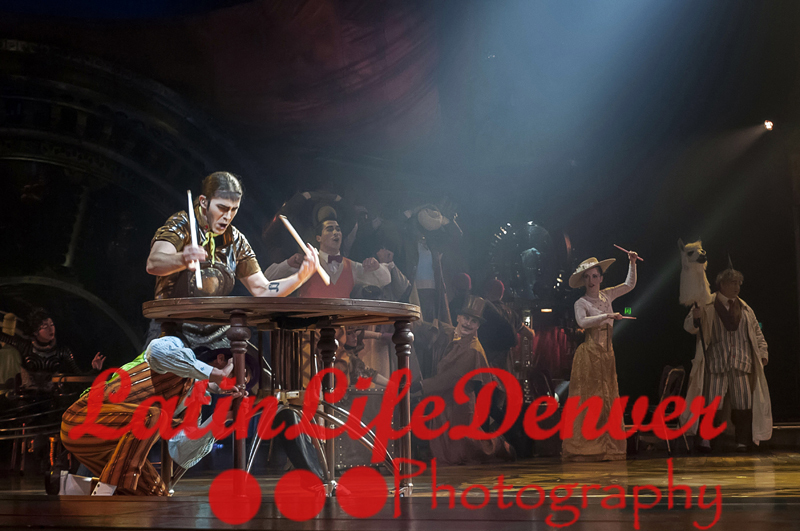 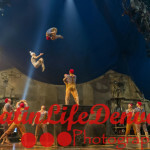 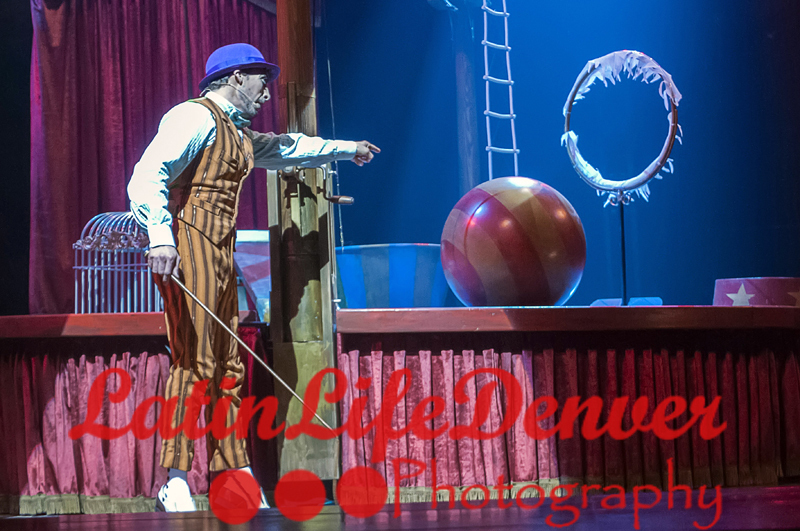 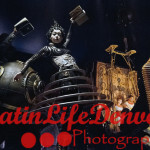 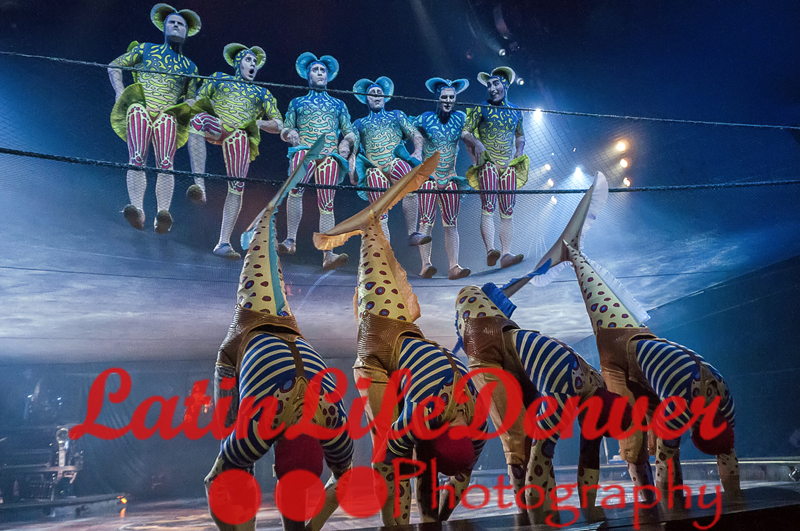 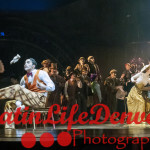 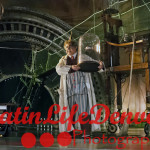 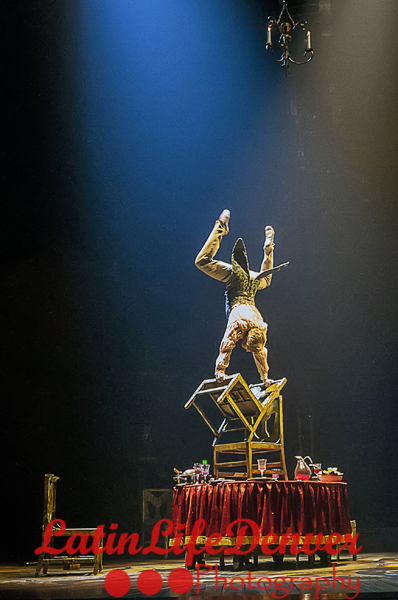 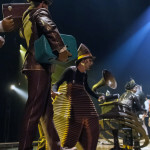 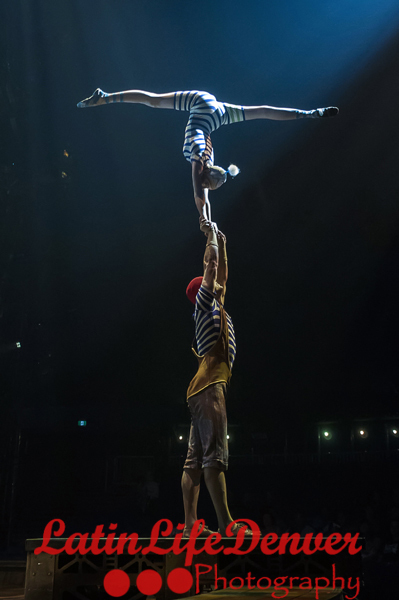 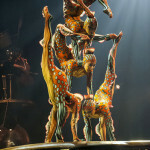 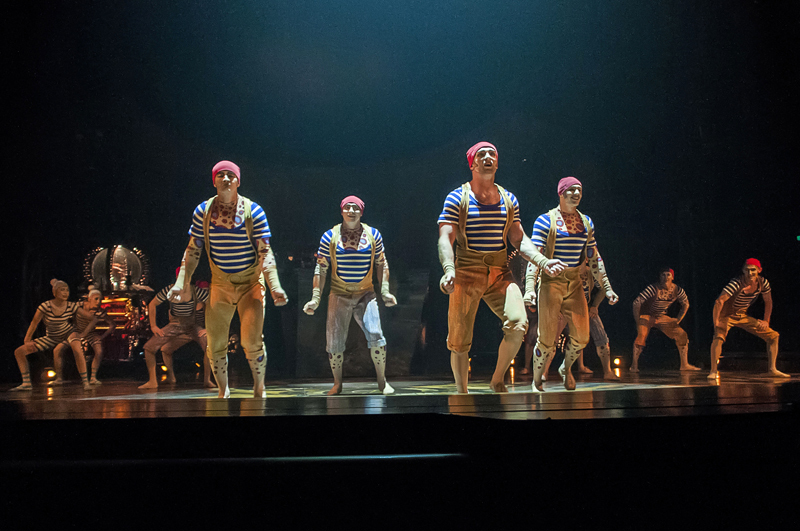 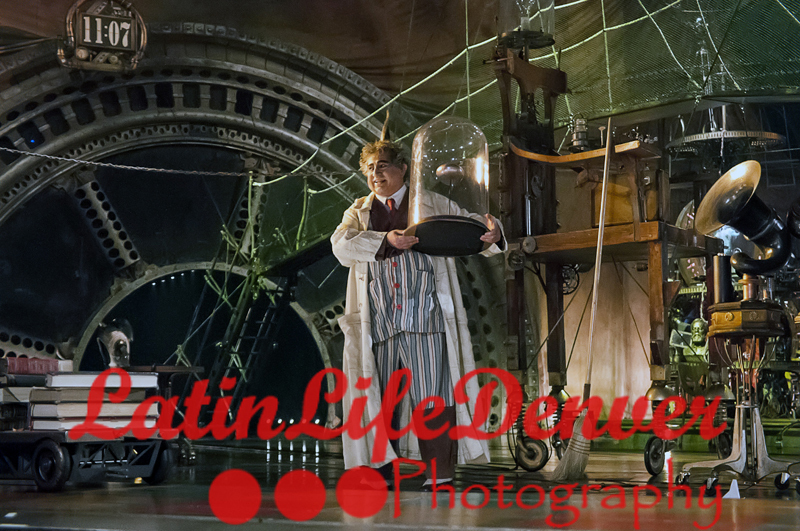 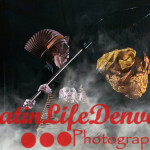 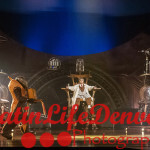 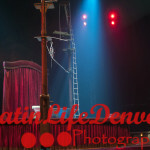 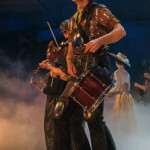 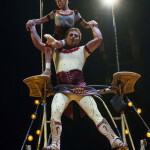 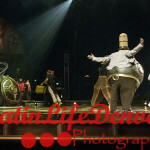 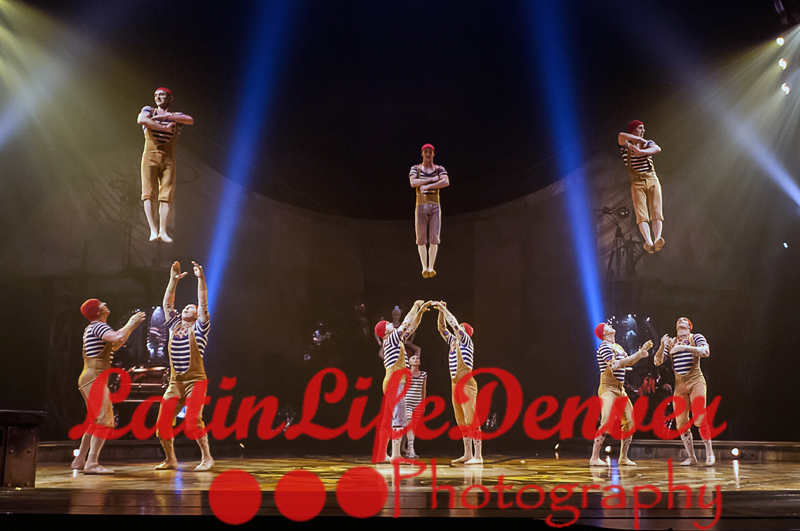 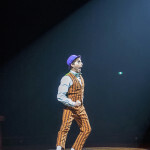 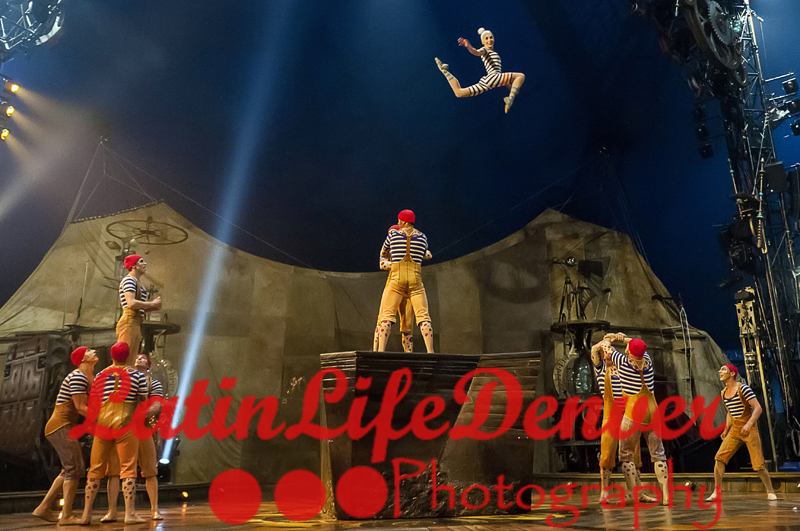 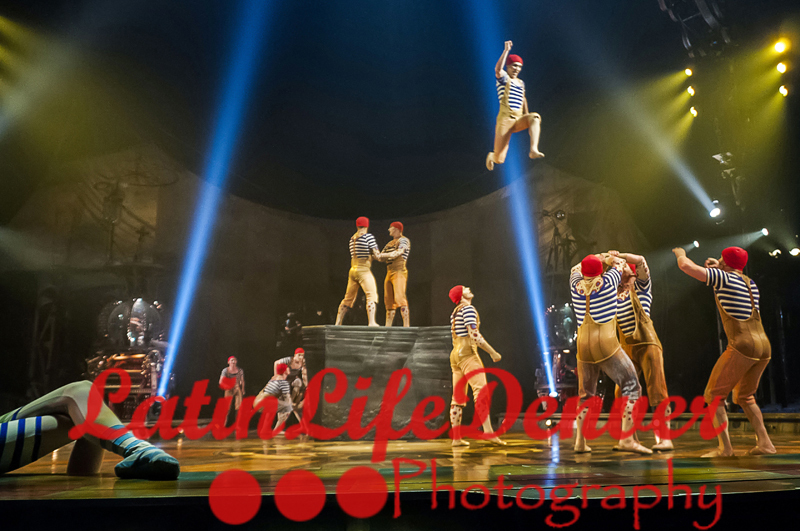 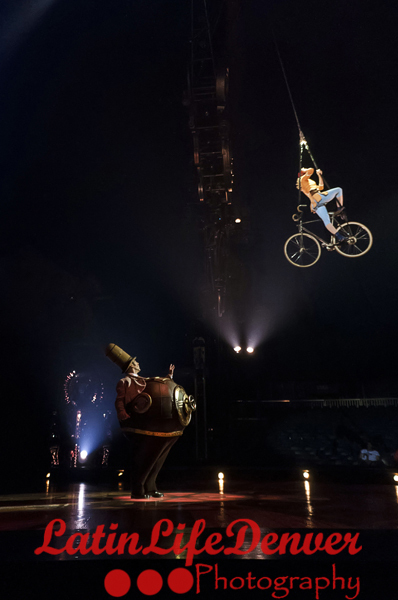 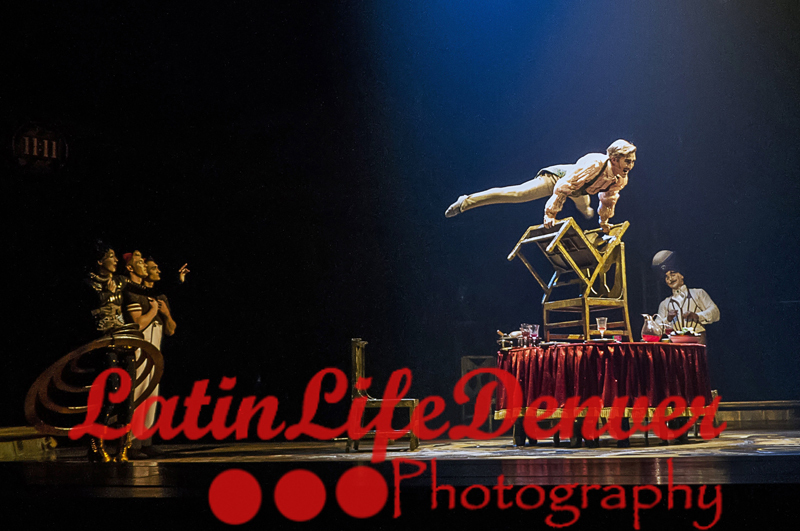 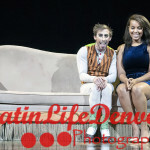 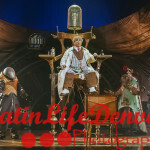 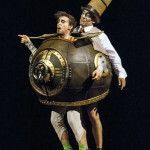 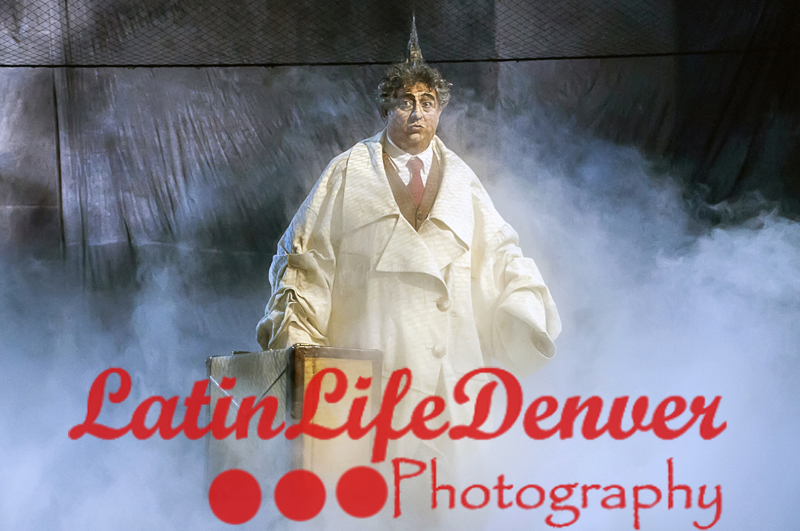 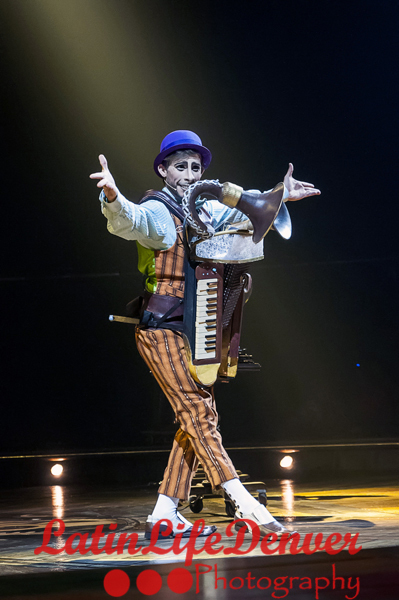 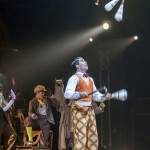 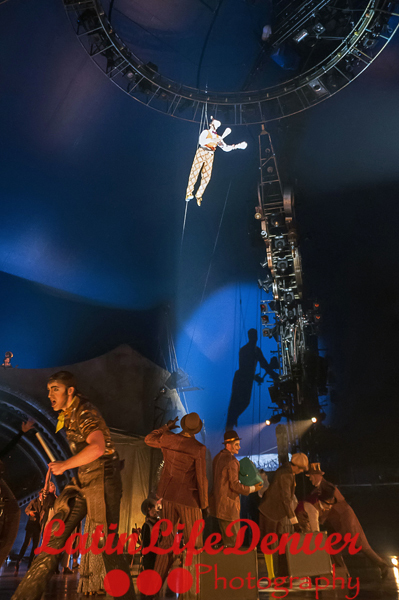 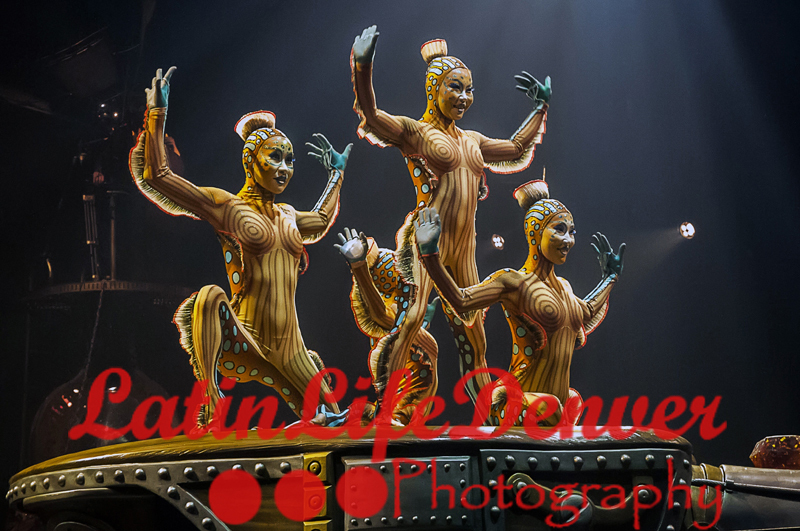 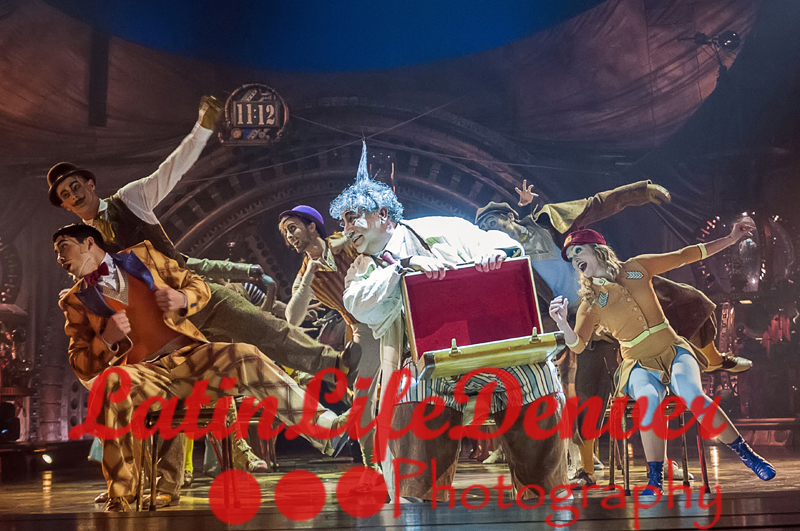 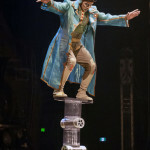 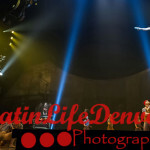 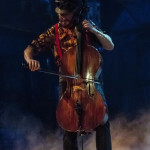 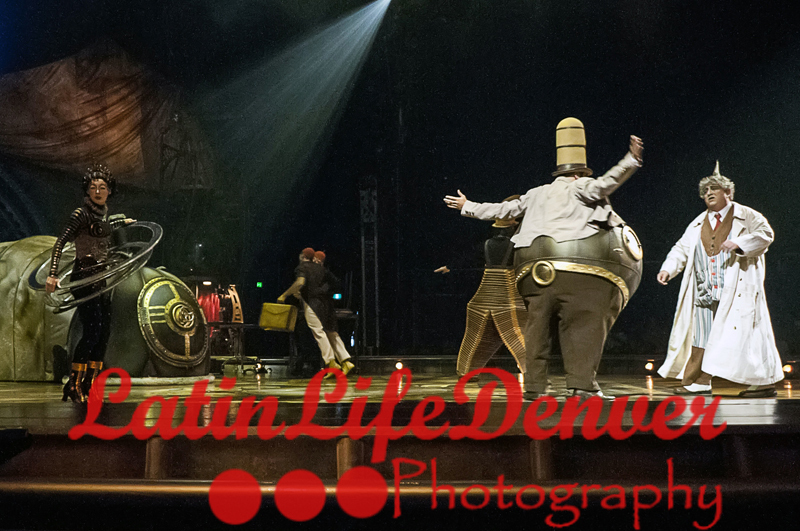 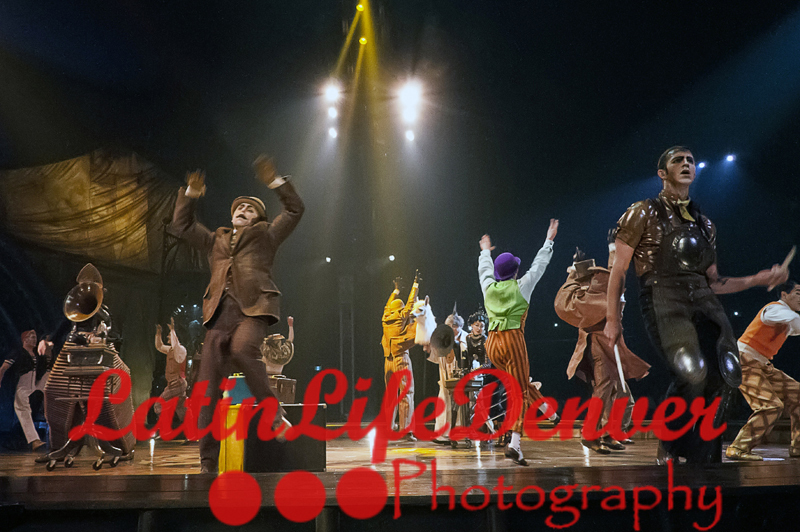 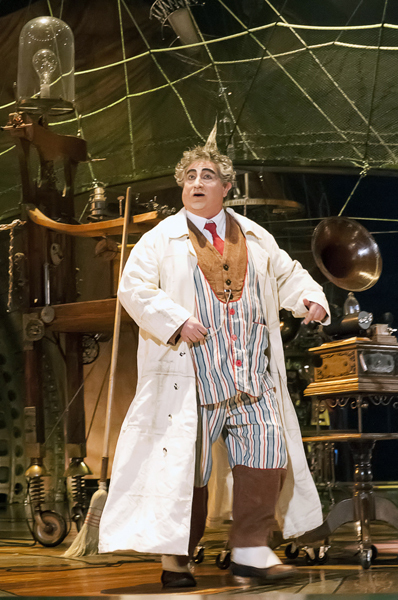 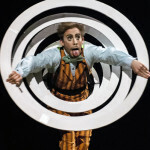 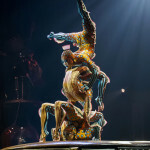 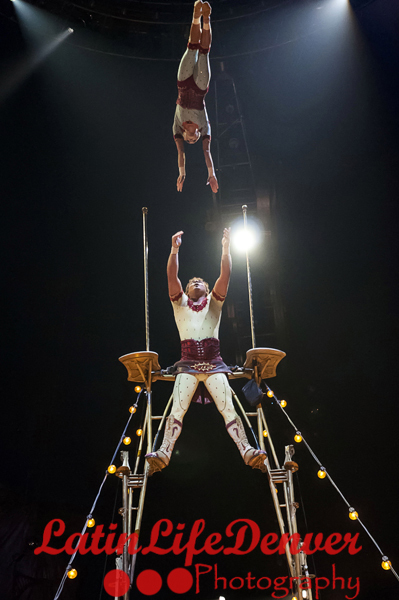 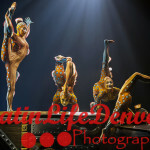 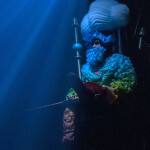 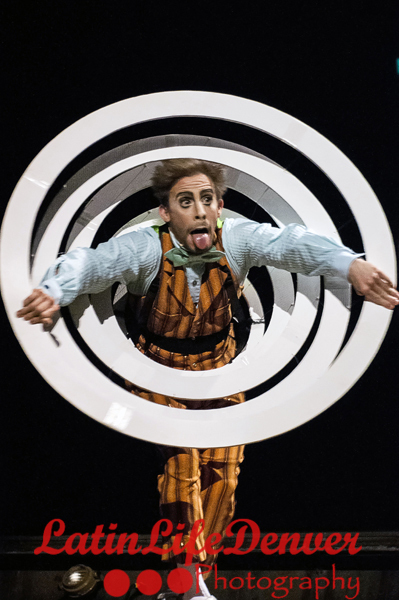 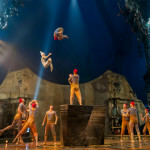 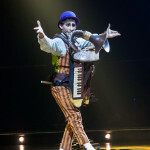 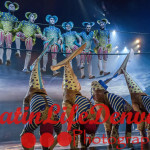 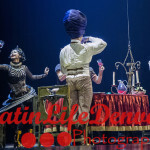 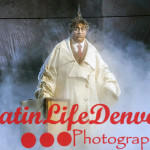 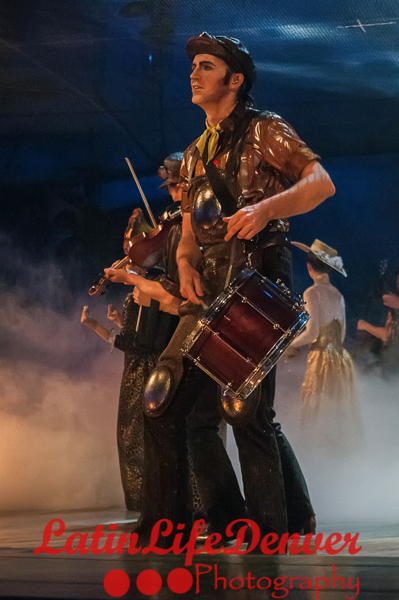 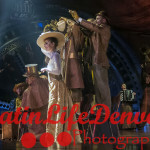 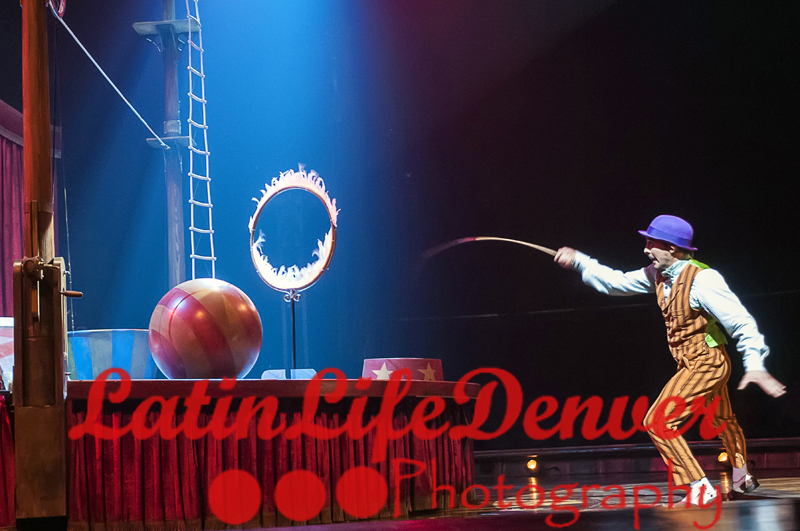 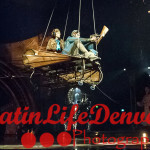 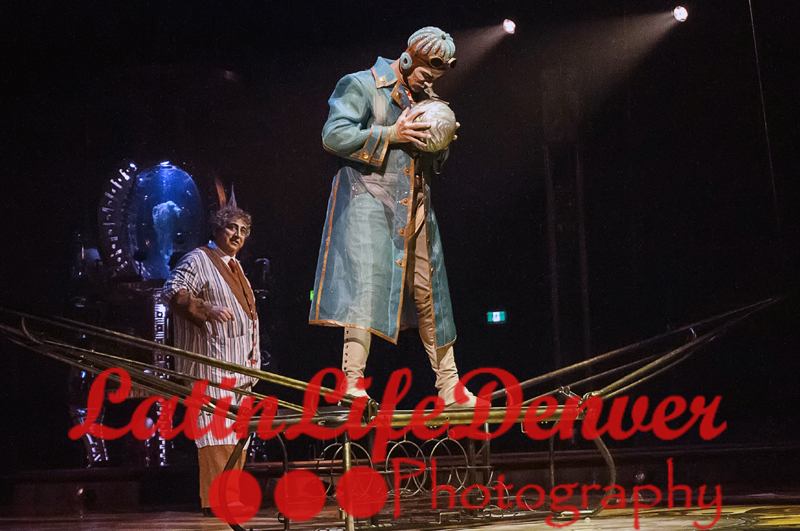 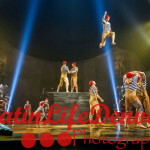 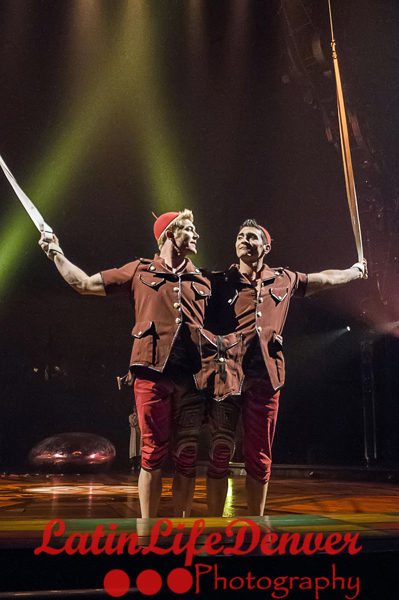 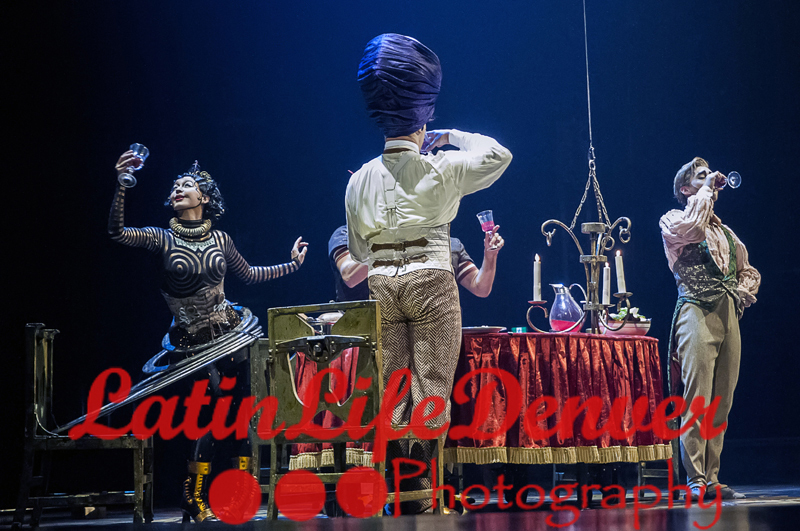 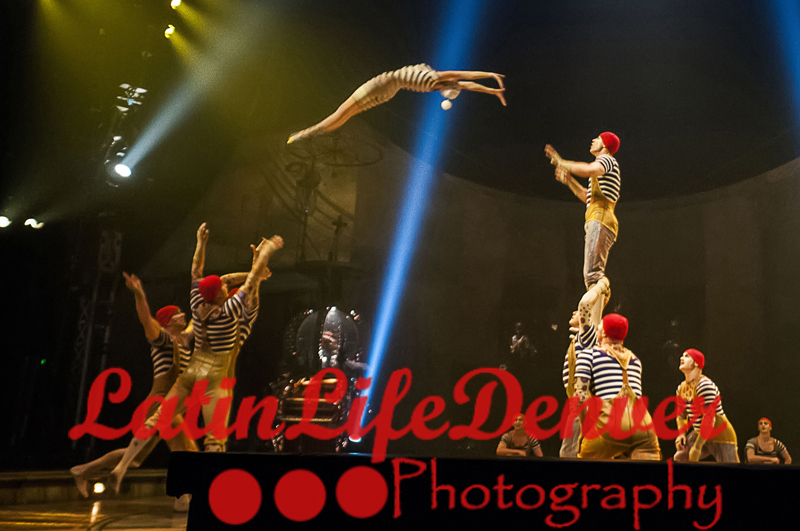 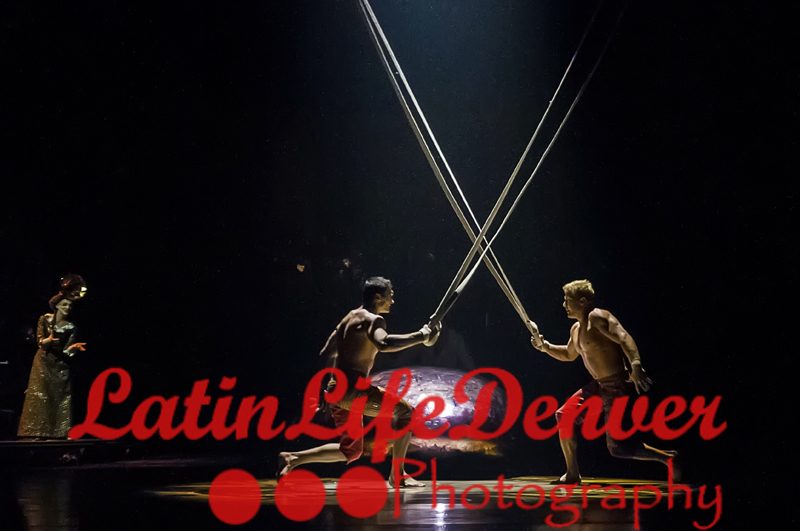 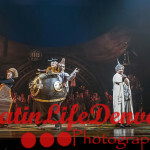 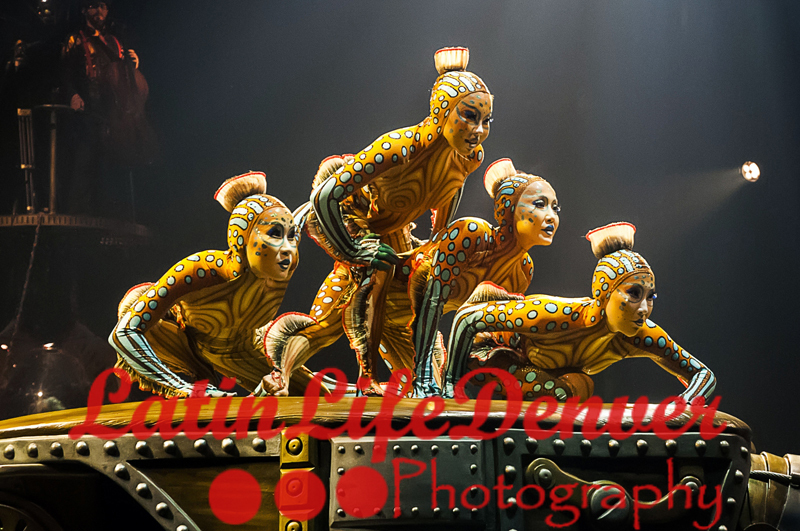 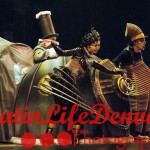 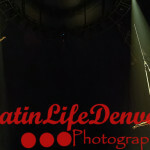 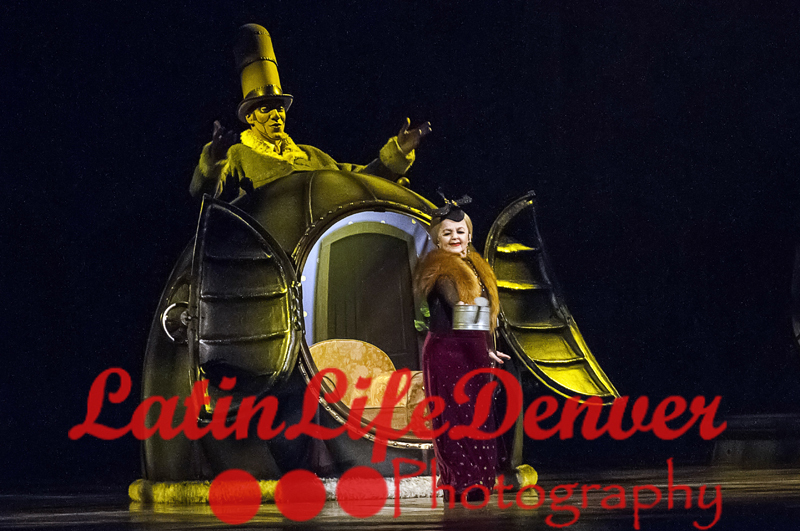 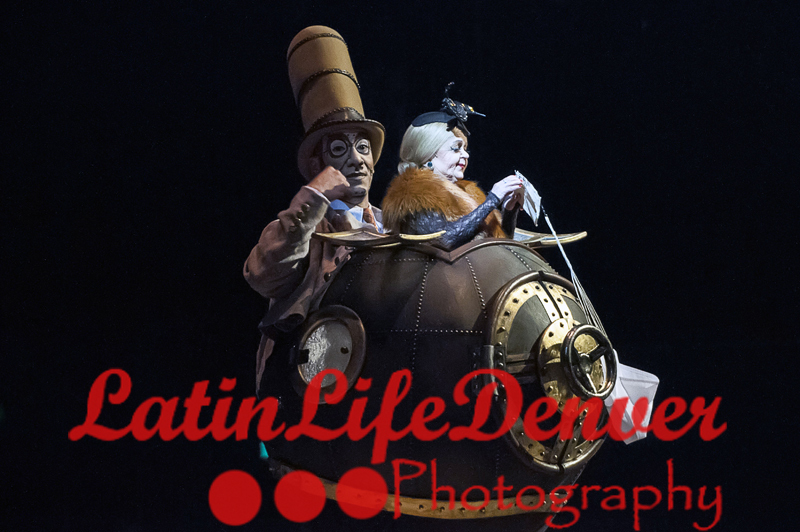 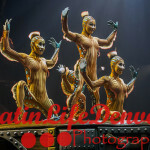 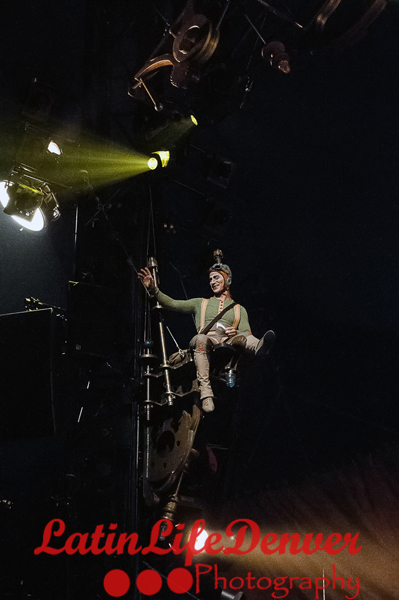 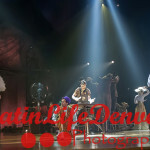 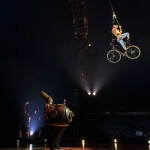 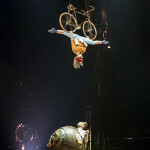 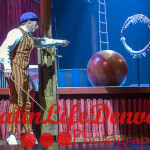 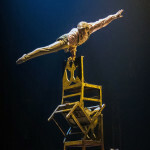 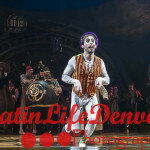 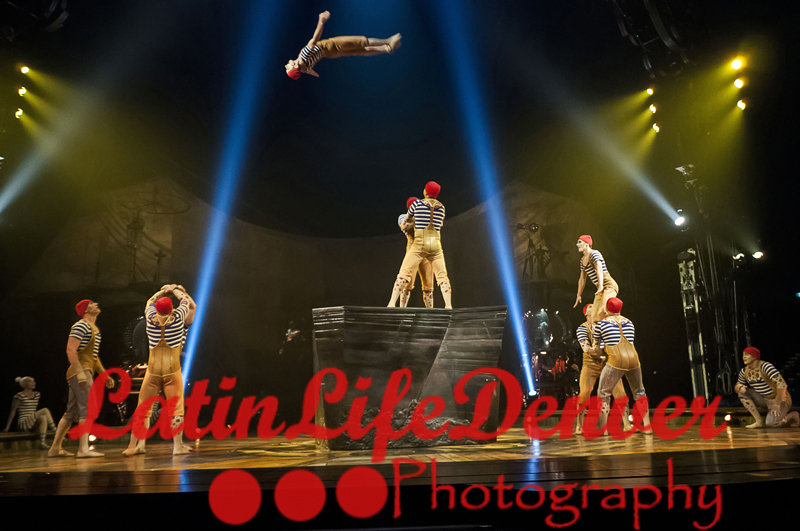 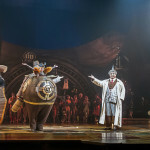 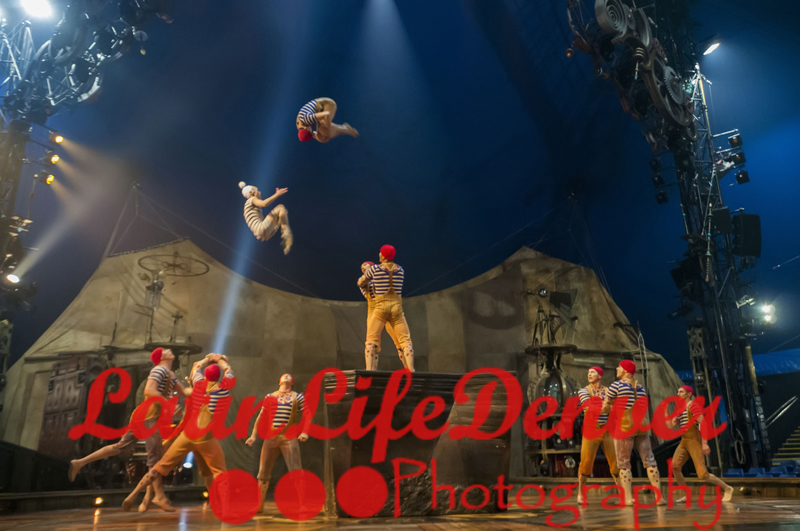 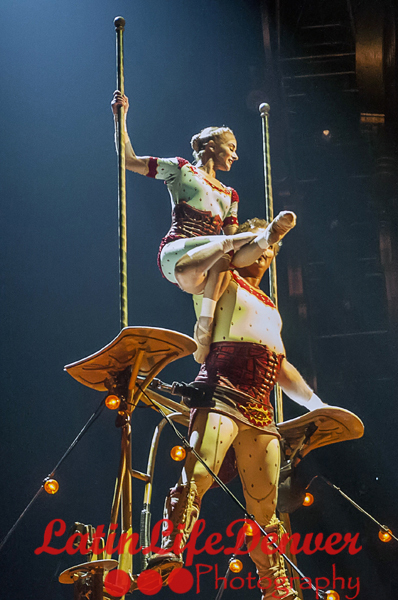 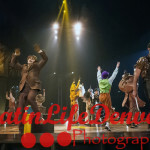 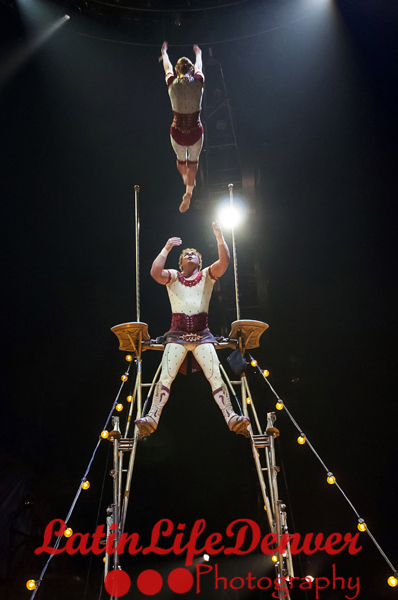 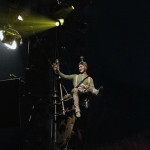 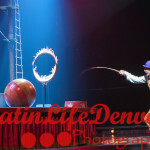 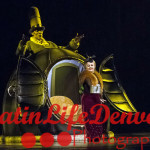 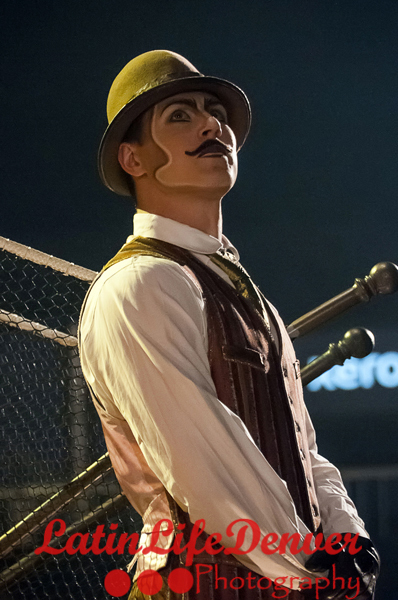 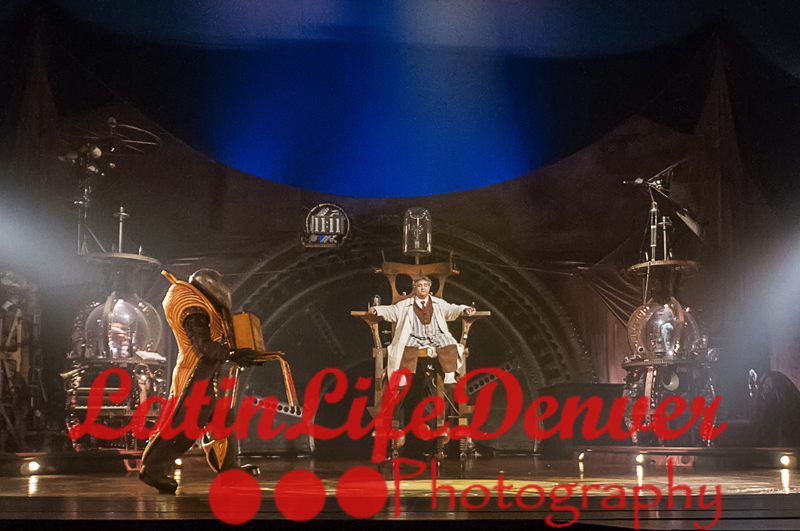 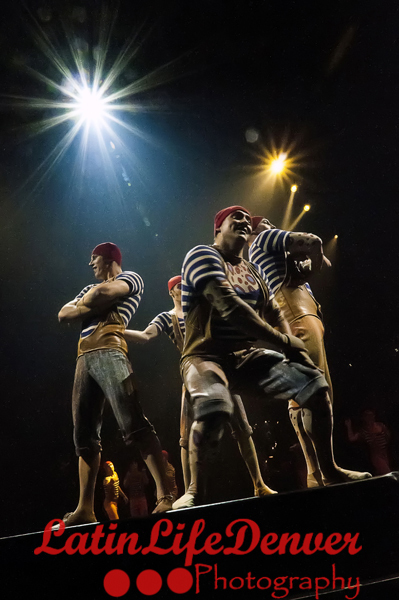 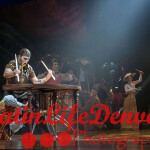 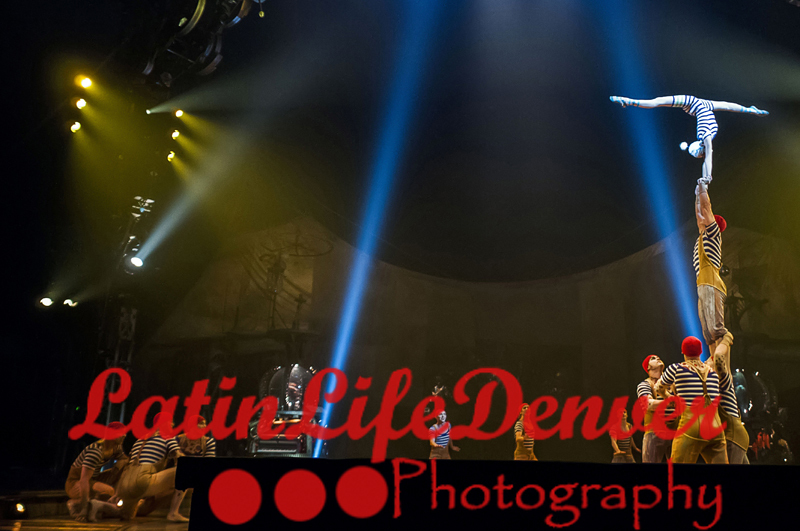 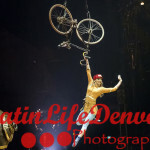 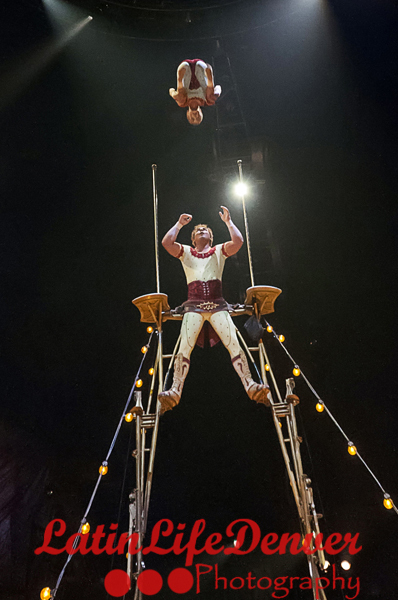 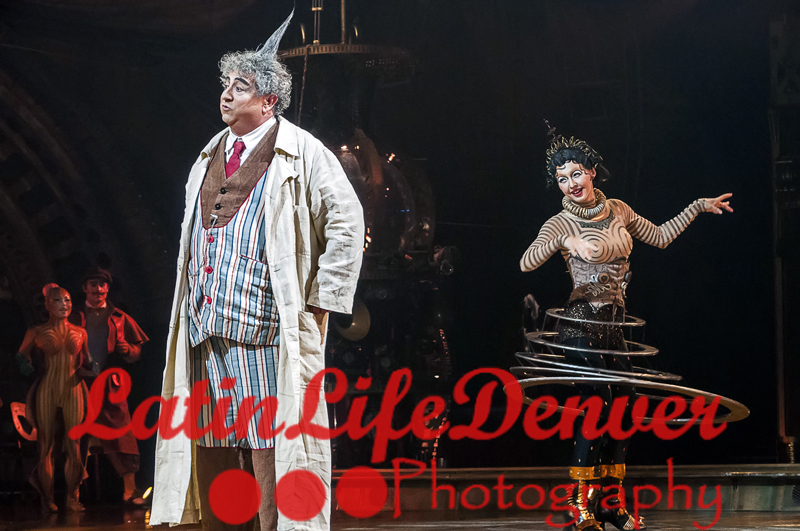 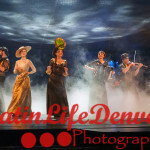 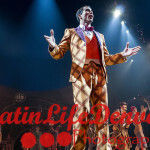 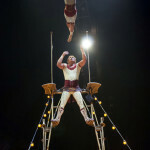 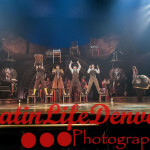 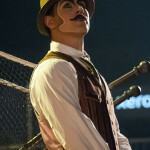 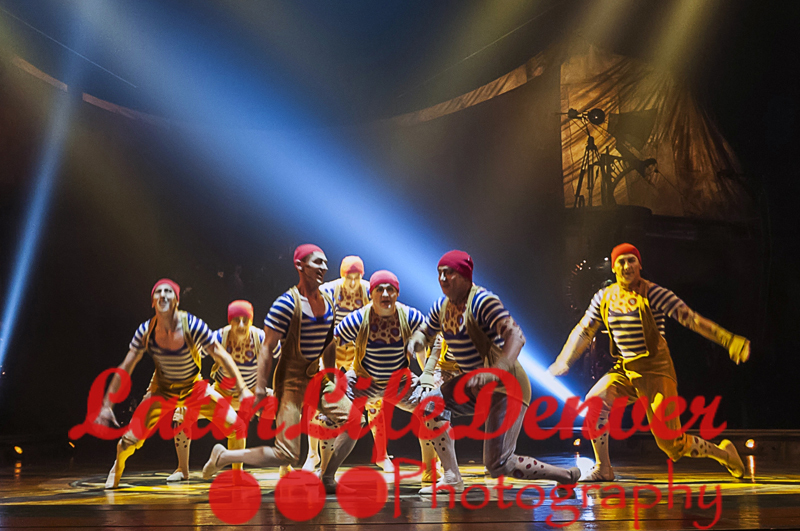 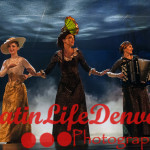 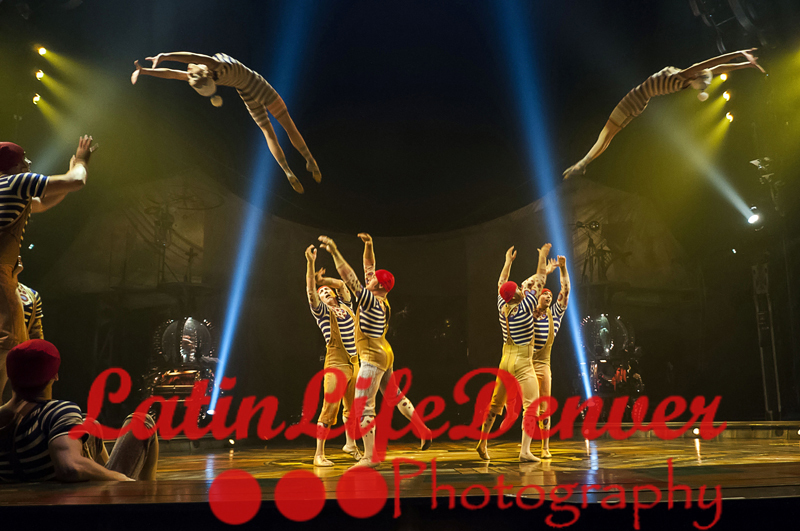 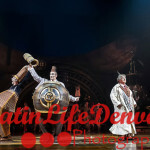 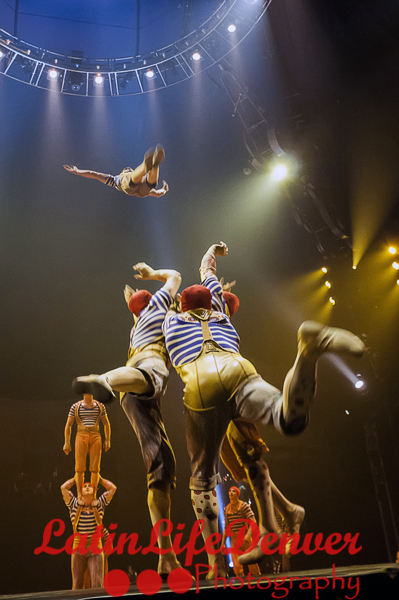 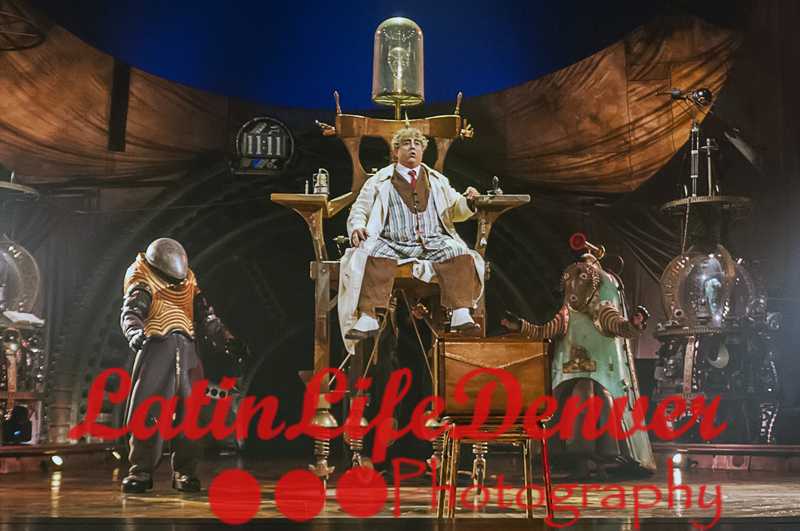 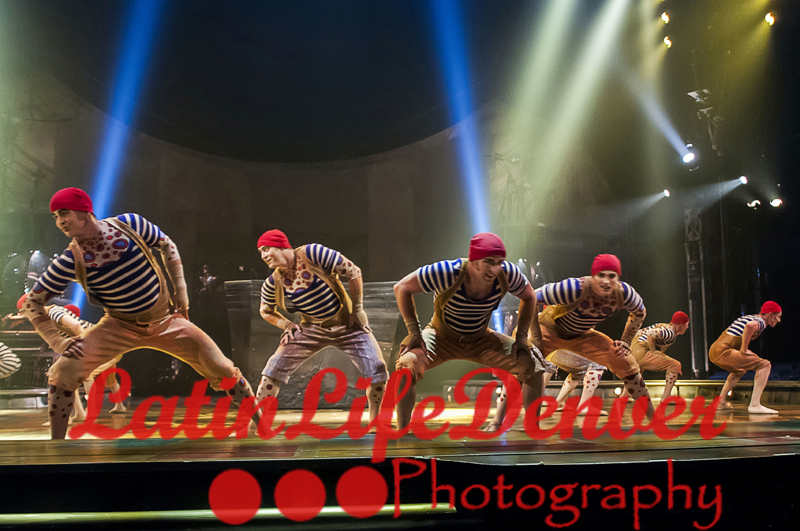 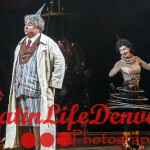 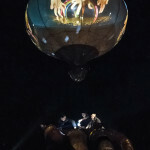 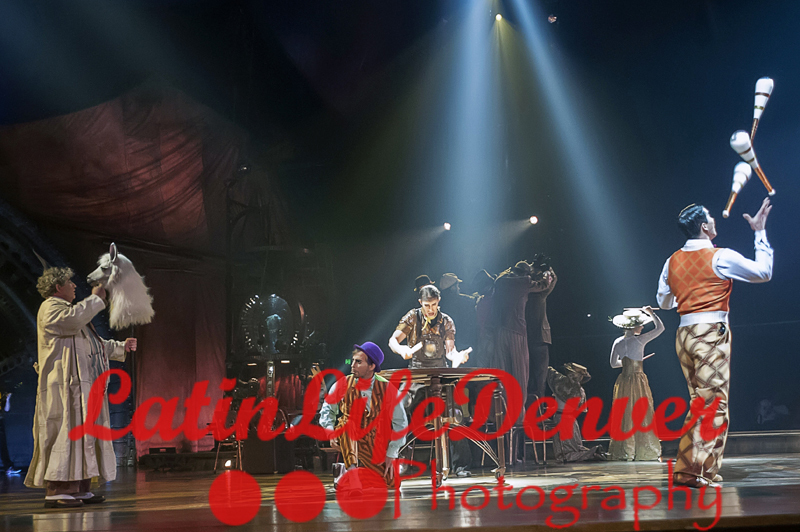 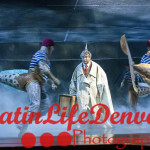 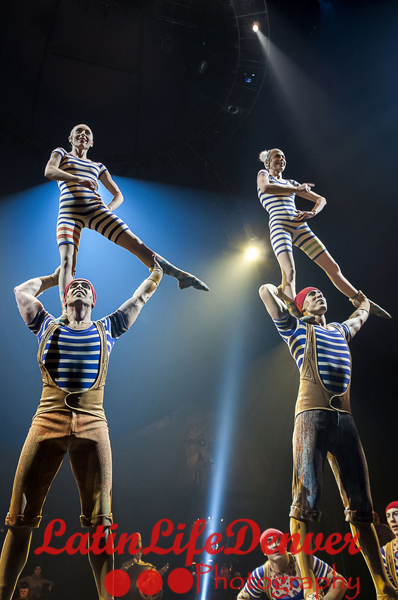 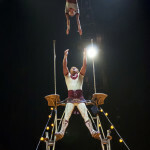 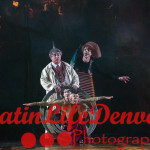 There several other intriguing characters that perform a variety of magnificent circus acts related to the show’s theme. 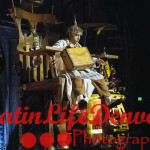 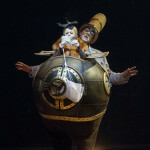 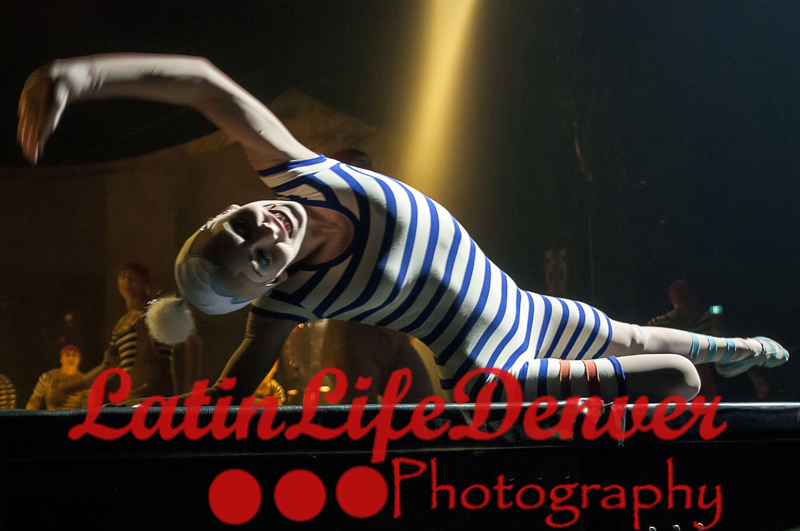 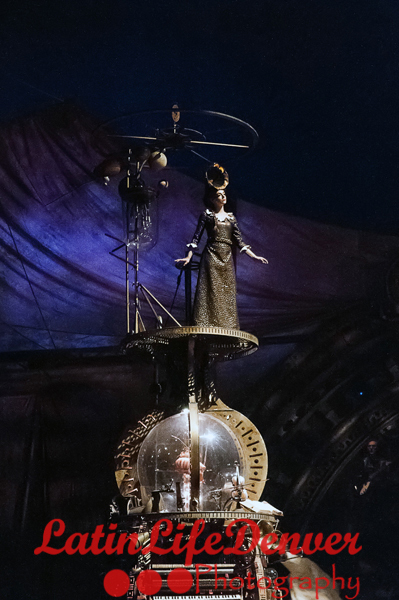 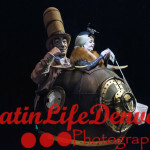 While some of the performers are mechanical human extensions in their characters, Mini Lili is among the most fascinating and she is for real. 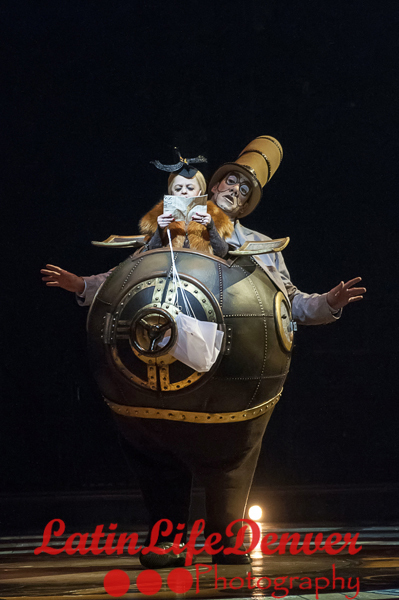 At just one meter tall and weighing 18kg she lives under the overcoat inside Mr. Micrcosmos belly. 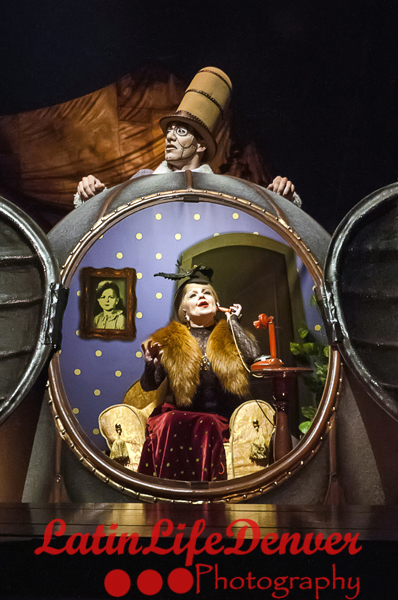 Through the door of his belly you can see the inside of her Victorian home complete with her armchair. 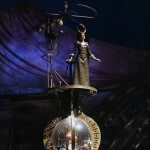 She represents Mr. Micorcosmos unconscious mind, his intuitive self but she is also a painter, an actress and a poetess. 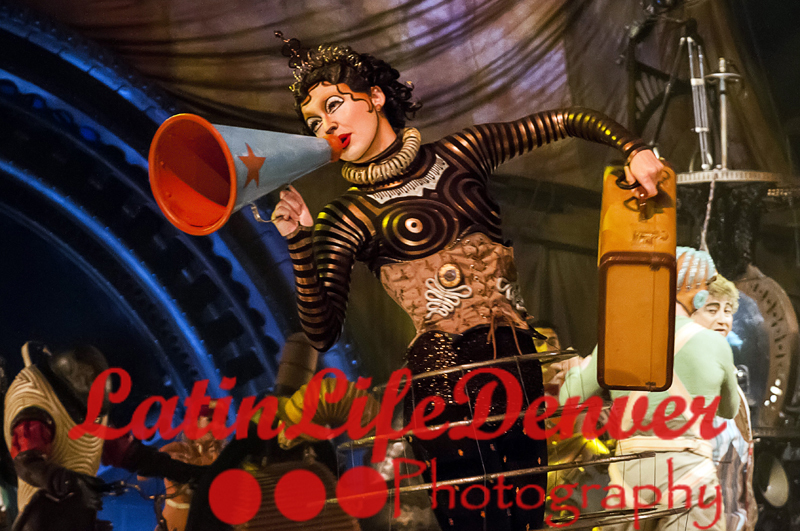 At first I thought she was a puppet of some sort but she proves she is real. 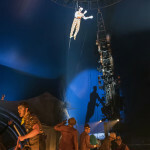 There are twelve acts in the show not counting the act outside the big top where performers are on the top of the exterior of main tent entertaining guests as they arrive at the venue. 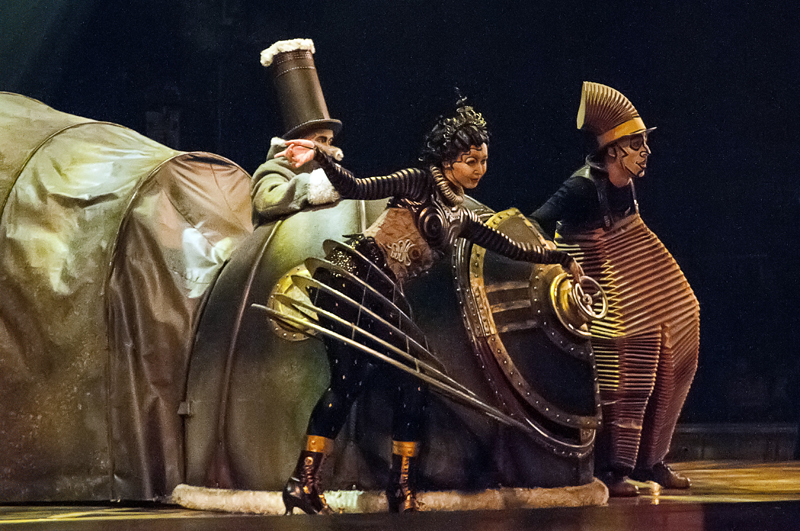 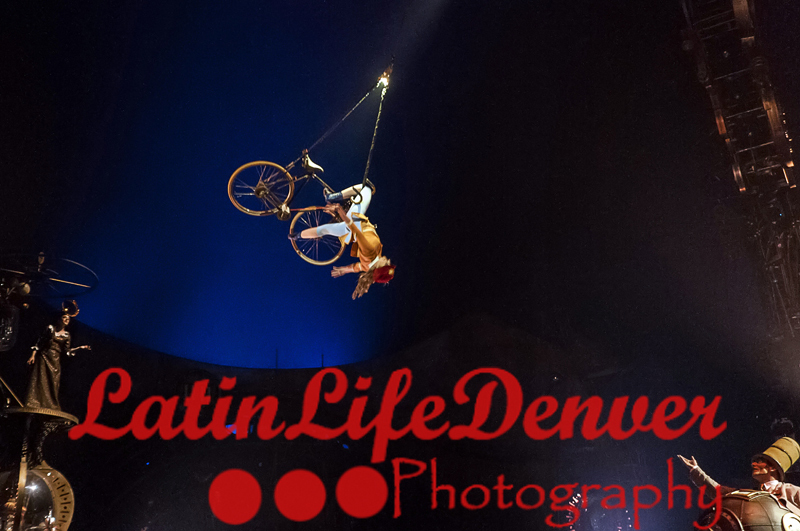 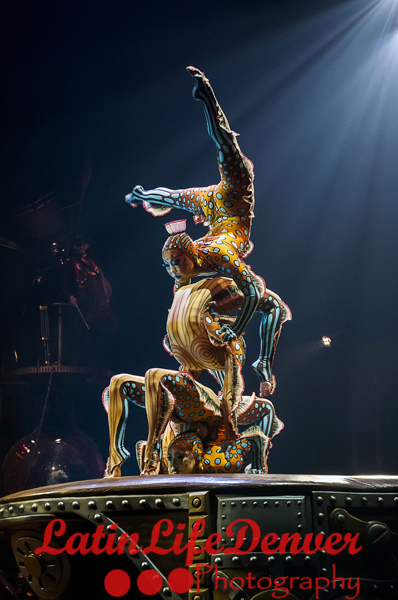 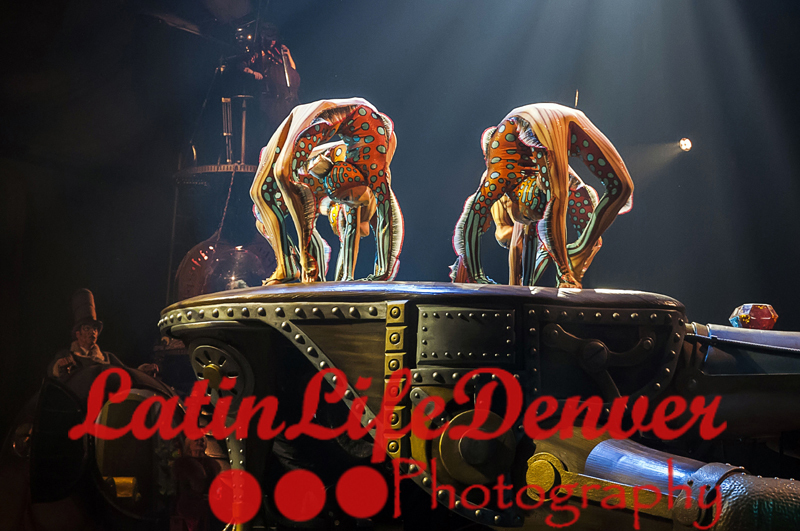 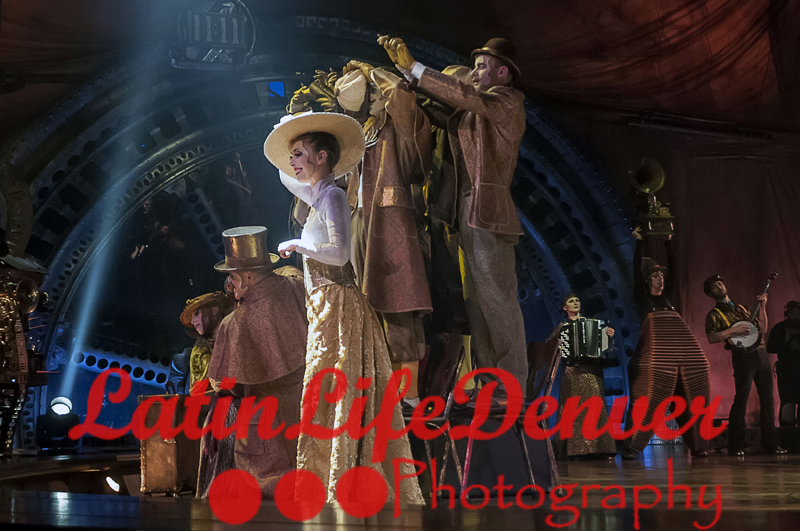 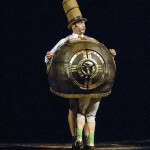 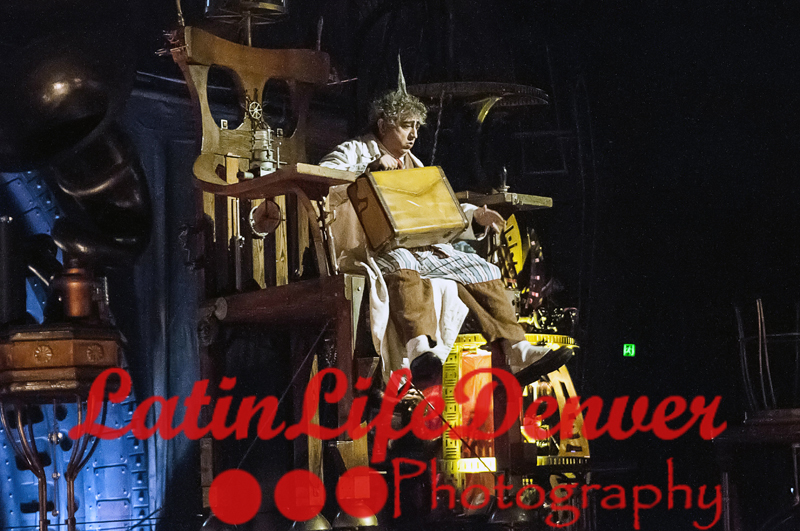 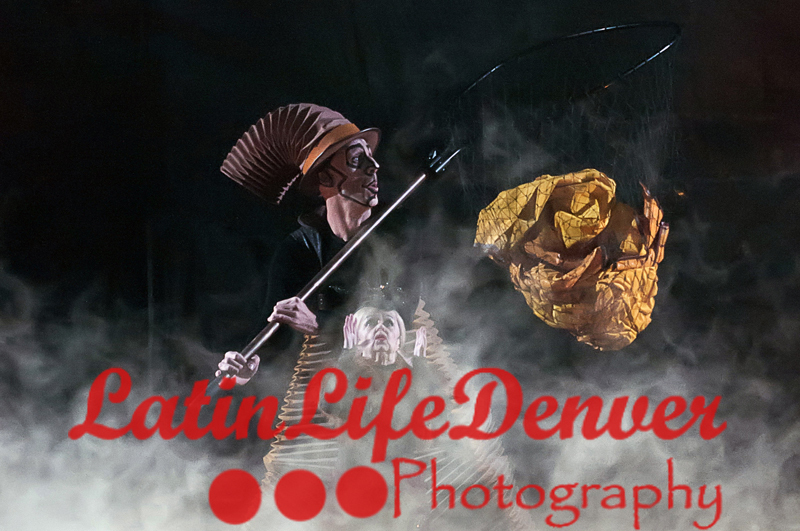 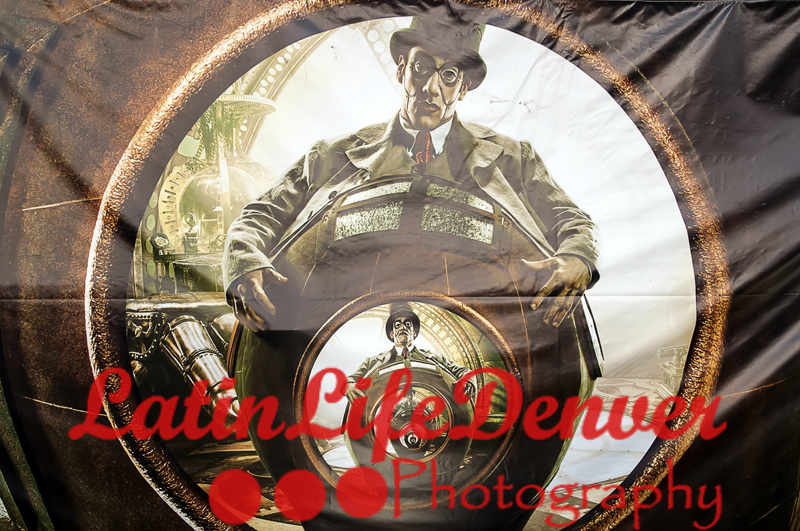 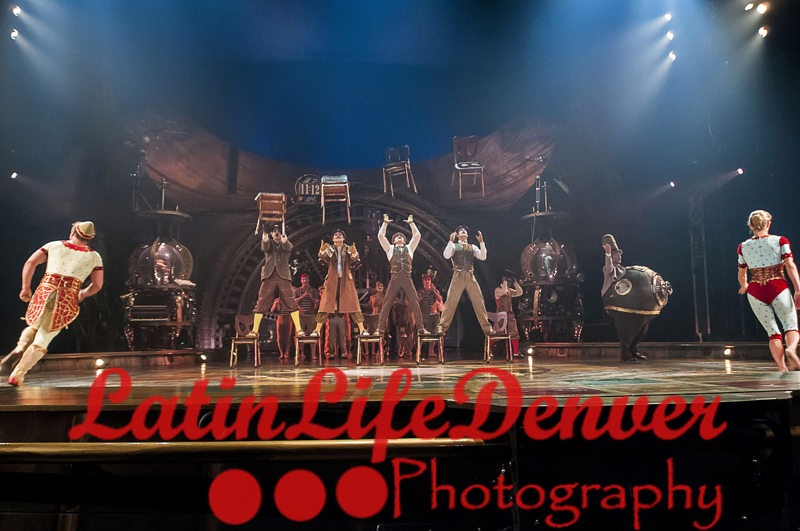 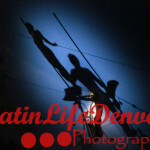 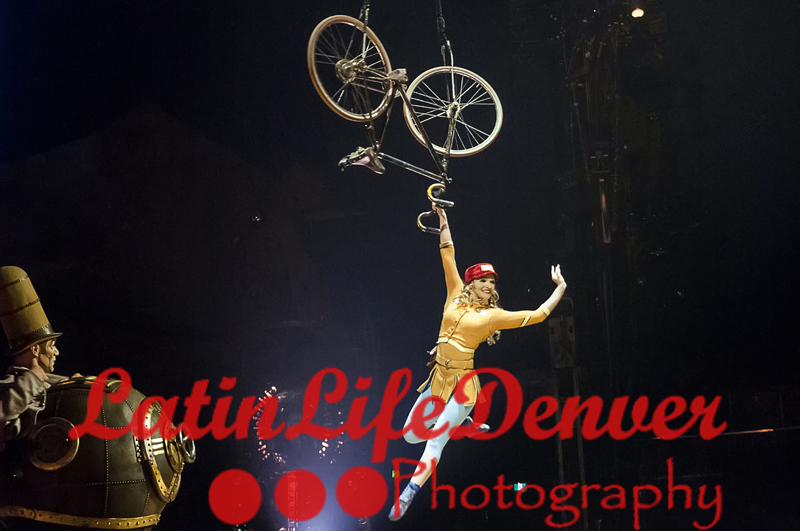 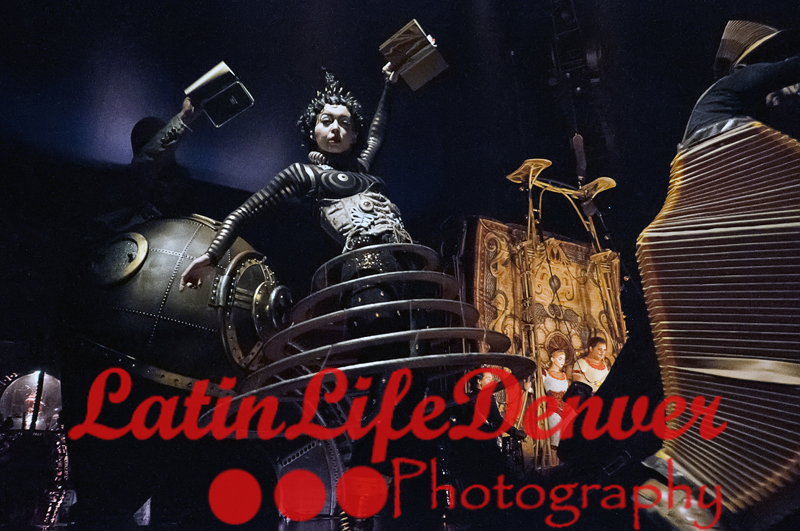 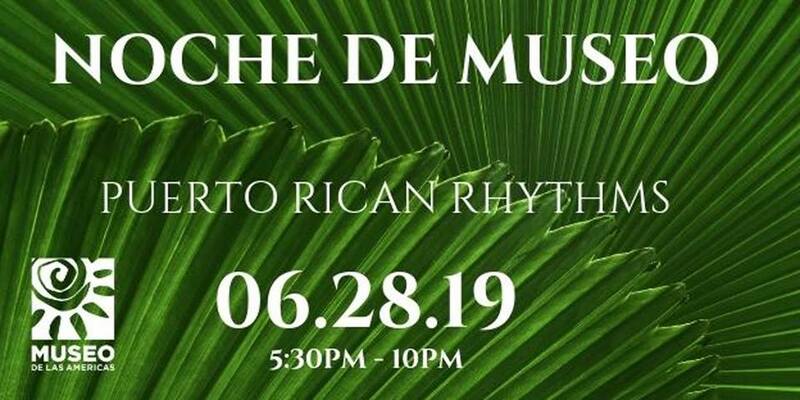 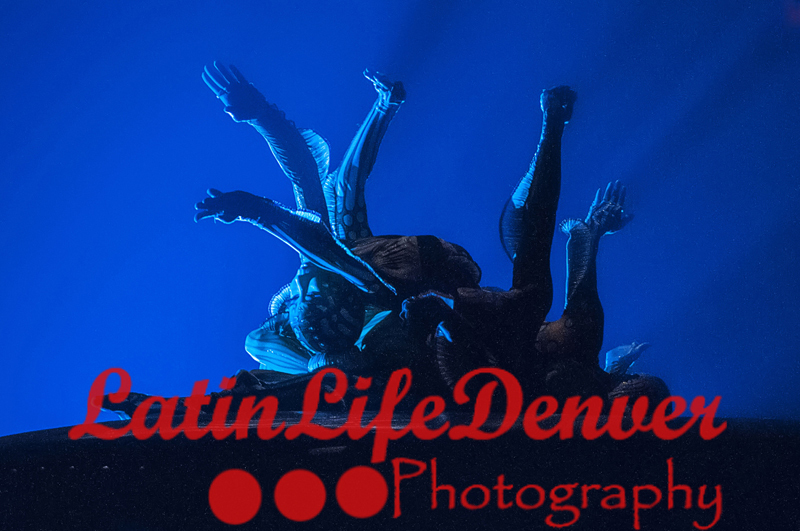 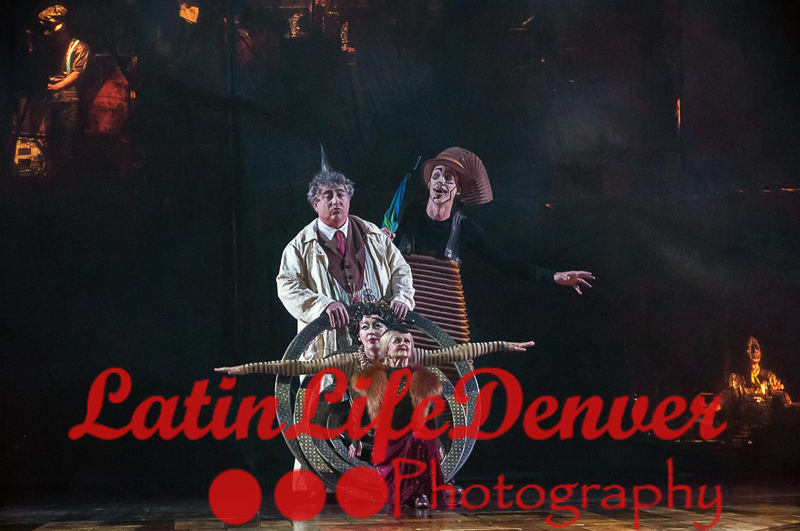 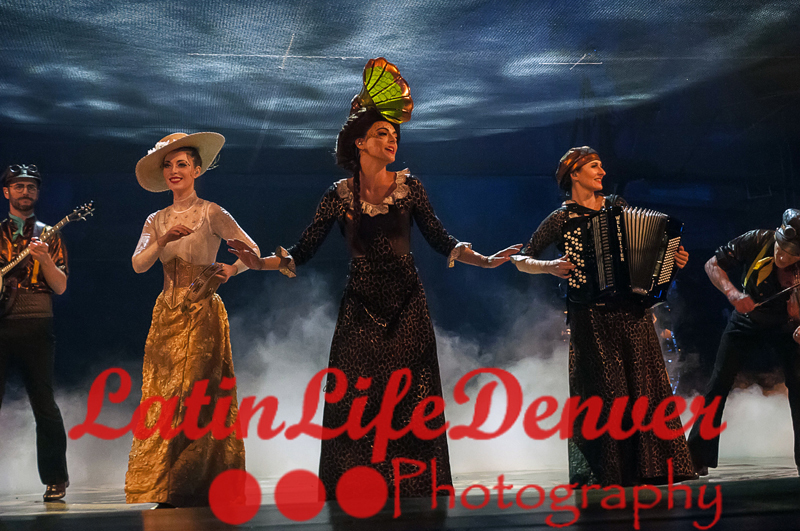 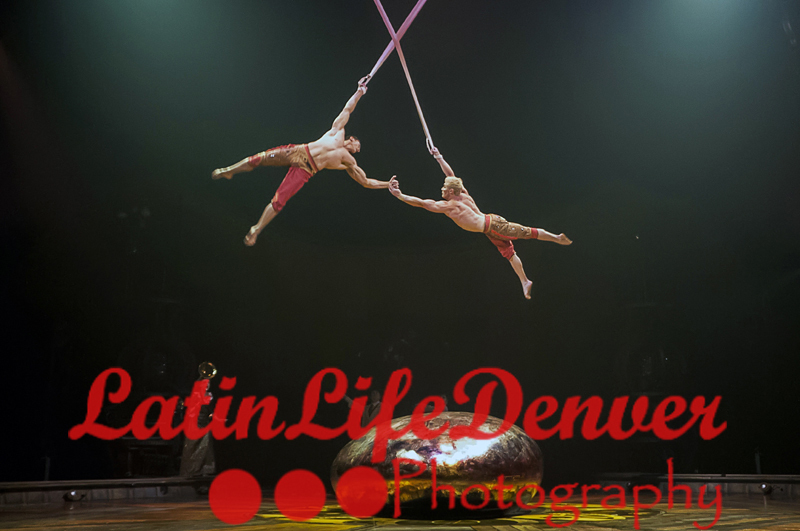 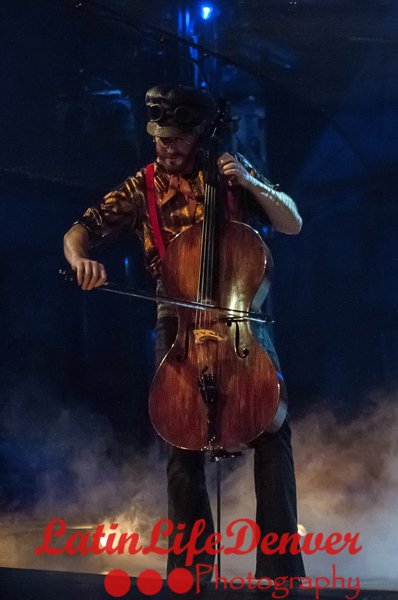 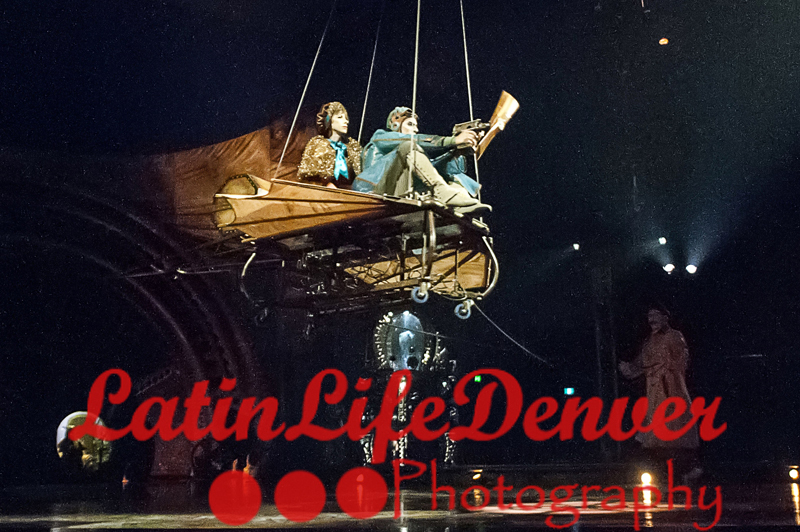 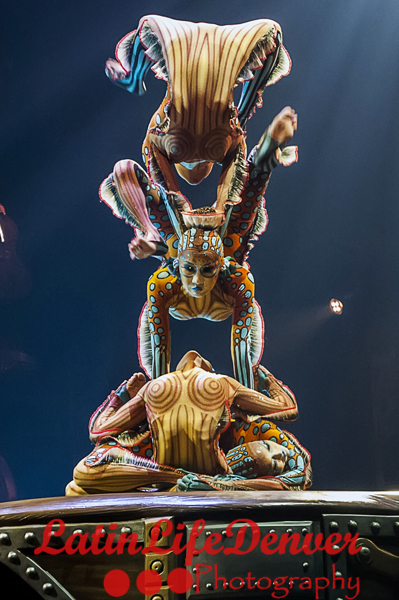 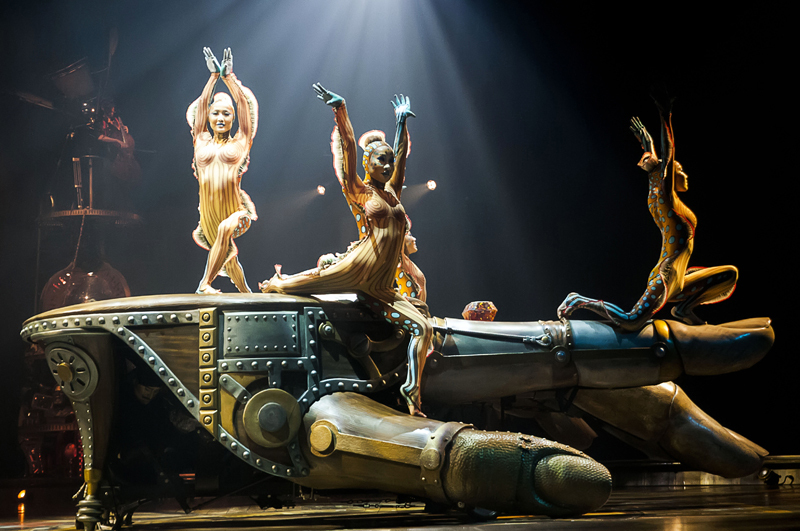 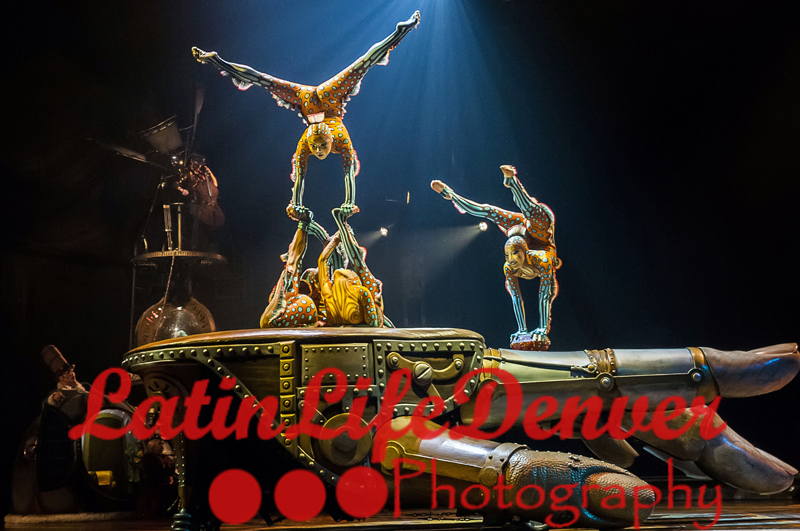 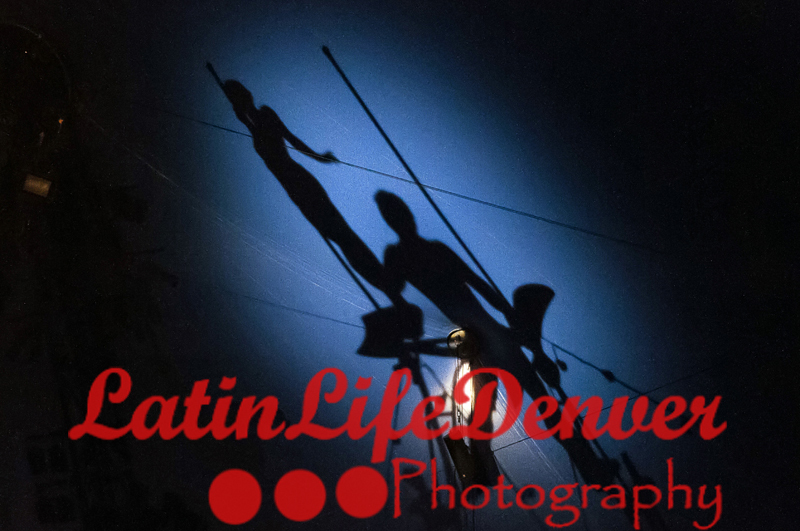 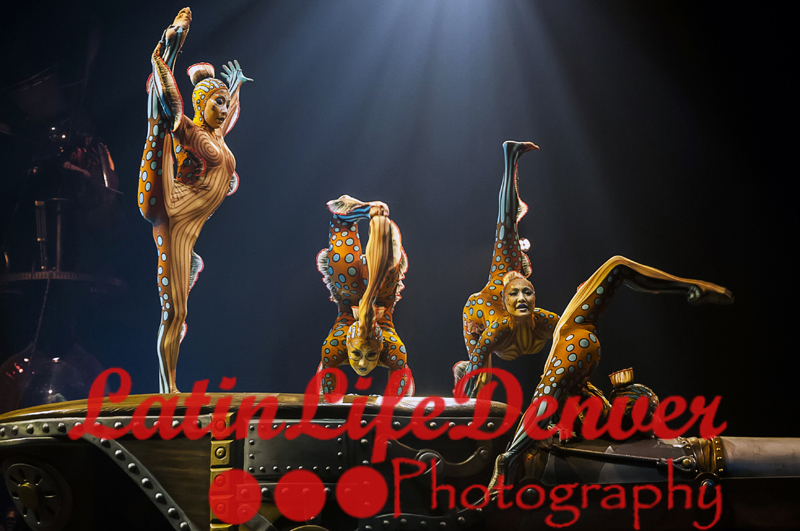 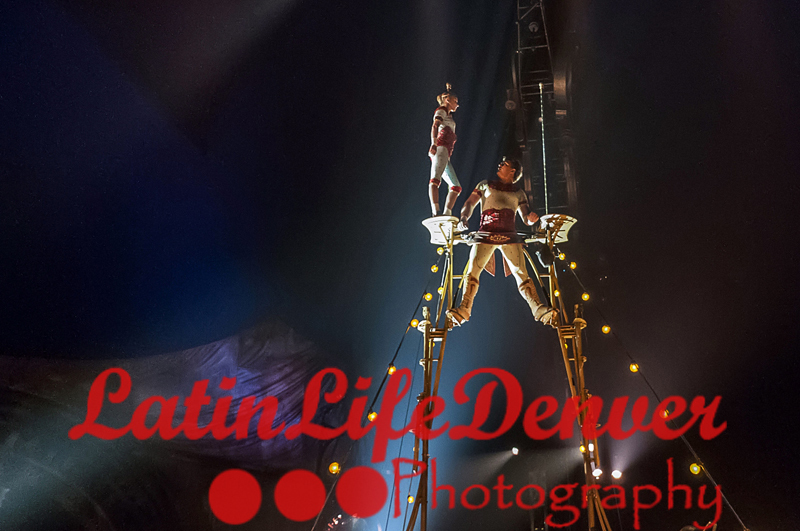 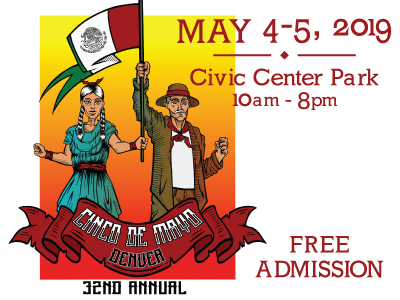 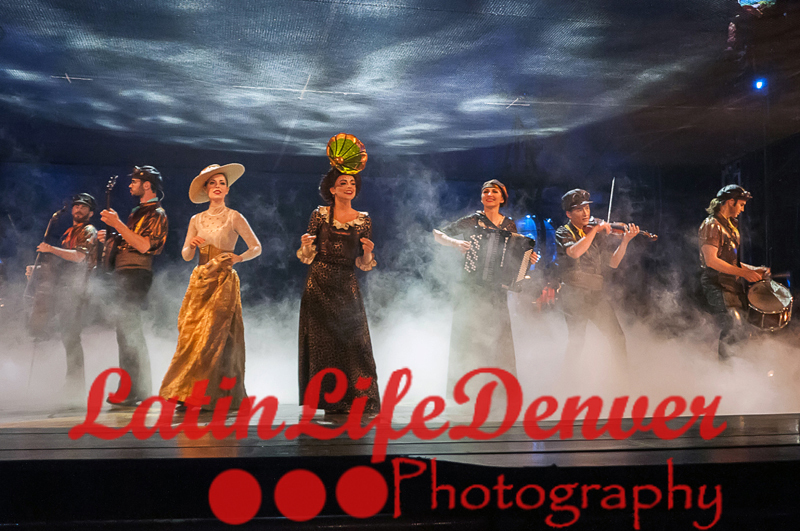 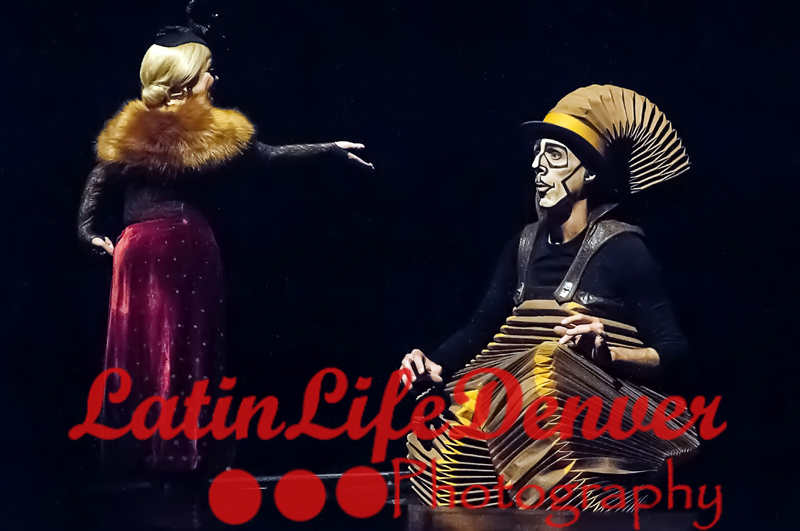 Other acts include “Contortion” where colorful artists create incredible pyramids on top of a huge “steam punk” mechanical hand. 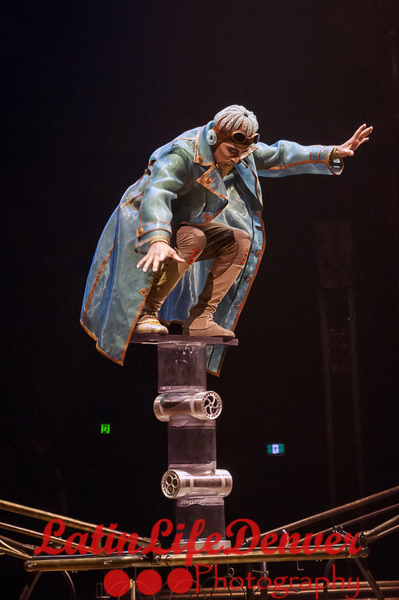 There is also the ‘Invisible Circus” where the ring announcer shouts, “This is most incredible circus you have never seen.” Which is true. 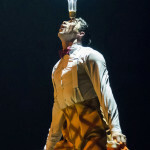 One of the performers almost drowns after performing a death defying dive into a small pool of water. 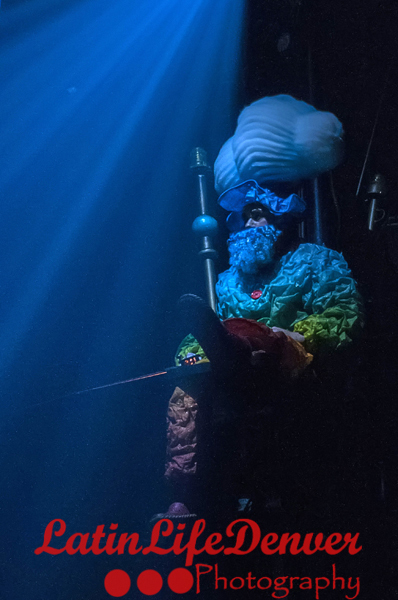 He is resuscitated right before your eyes, kinda, sort of, because you can’t see him as he brought back to life because he is invisible. 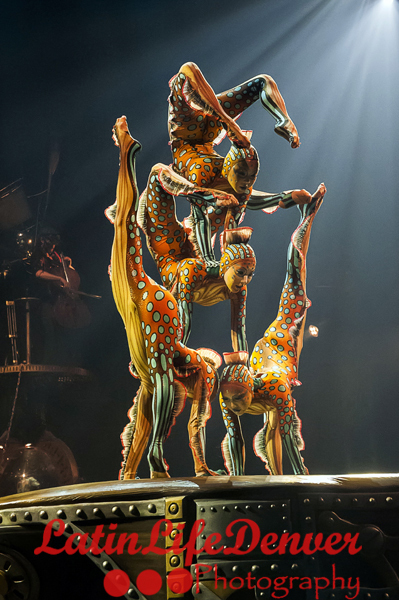 The “Upside Down World” is mind boggling and it unfolds and challenges your perception of reality.